East Cottage is an idyllic country cottage, with the addition of a fabulous oak-framed garden room providing a light and spacious sitting room. There is a lovely downstairs bedroom with a contemporary shower room, making it ideal for less mobile guests. Upstairs there are three delightful bedrooms, with an en-suite bathroom and separate loo. This beautiful cottage is ideal for those wishing to escape from the hustle bustle of modern life, being peacefully located at the end of a long private drive, with lovely countryside views. Guests may relax in the private enclosed garden with lawns to the south and east. The nearest main road and shops are 3/4 mile away at Burnham Deepdale, with easy access to the coastal path and walking distance to several places to eat. The Georgian village of Burnham Market and the beautiful sandy coast are both easily reached within a five minute drive. There is an under-occupancy discount of 10% outside holiday periods for parties of 1-4 guests. 3 The Old School is a luxurious 3-storey conversion of part of an old Victorian school which has been tastefully refurbished throughout in a contemporary coastal style. 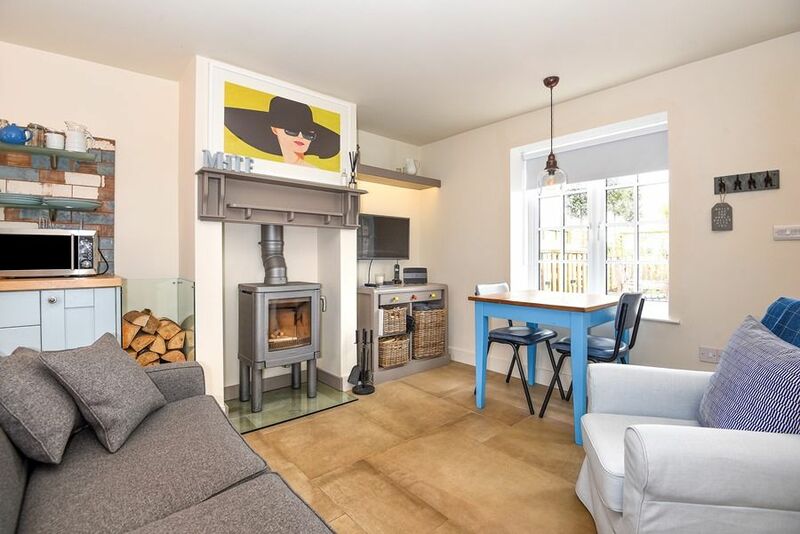 This stylish holiday home with 3 beautifully presented bedrooms and 2 modern bathrooms is maintained to an exceptionally high standard and would be ideal for two couples or a family wanting to explore the charms of the North Norfolk coast. It has an attractive, private fully enclosed garden which overlooks the picturesque Burnham Ulph church and has the added bonus of 2 off-street parking spaces. 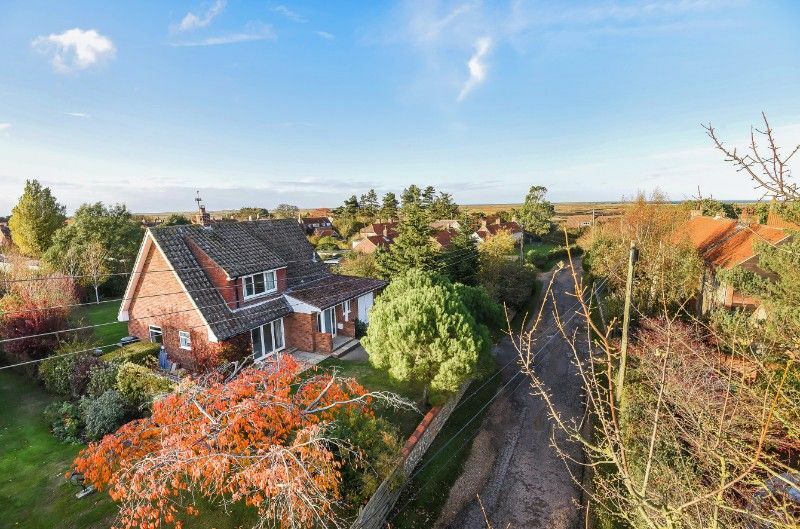 Ideally located within a short walk of Burnham Market's village green and only 10 minutes drive from the beautiful unspoilt beaches of the North Norfolk coast. Arthur's is a stylish and luxurious holiday home (outside now repainted peachy pink), tucked away in a privileged position away from the road, close to Burnham Market's picturesque village green. Great care and attention has been taken during the renovation of this superb property, cleverly transforming it into a stunning holiday home with tasteful eclectic decor reflecting the owner's homes in the West Indies and Argentina. This gorgeous house has a fabulous contemporary open plan kitchen/sitting room, a fabulous conservatory dining area and a separate decorative cosy snug downstairs. Upstairs there are three beautifully presented bedrooms: a super king-size room with a spacious en-suite bathroom and two twin bedded rooms rooms, sharing a modern shower room. Outside there is a large attractive private walled garden with a charming pergola, a lovely wooden garden room and a terrace for dining alfresco, with the advantage of two private off-street parking spaces (there is plenty of parking for additional cars on the road or in the nearby car park on North Street). Conveniently positioned within the charming Georgian village of Burnham Market and less than 10 minutes drive to the stunning North Norfolk coast with its wide open sandy beaches. Please note that Arthur's will be extended at the end of the year and will have capacity for up to 9 guests in 2020. 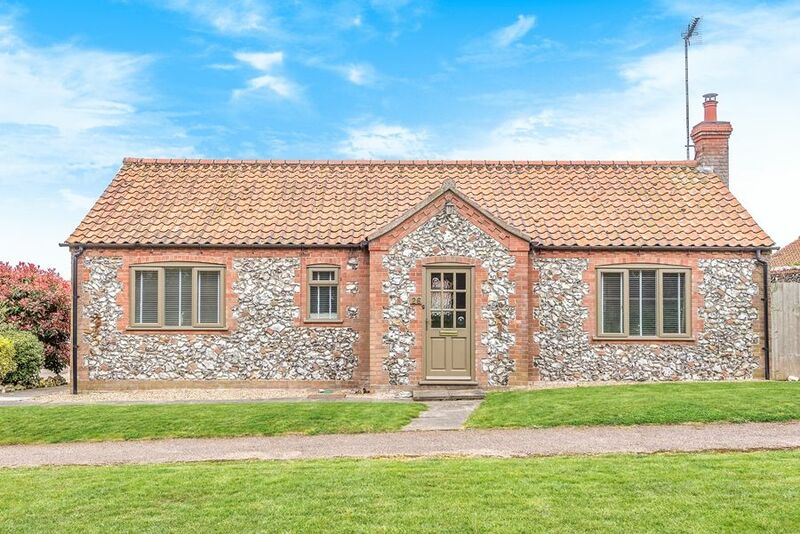 Aviaries Barn is a one bedroom flint & brick barn conversion which is tastefully decorated and stylishly furnished. This is a perfect place for a romantic escape for two, ideally tucked away in the heart of Burnham Market, close to the picturesque village green with its great selection of shops and restaurants. It has a fabulous spacious first floor sitting room with a high vaulted ceiling and a wood-burning stove. Downstairs there's a lovely bedroom, rustic kitchen and pretty dining area with doors opening out to the pretty patio & lawned garden. Beacon Hill Barn is an exclusive, contemporary stylish barn conversion, uniquely situated in a secluded location with breathtaking open views across open countryside and out towards the sea. This newly converted fabulous barn has magnificent full height arched windows with absolutely stunning full height open plan living areas, set in over an acre of private grounds with the use of a natural wooden hot tub. 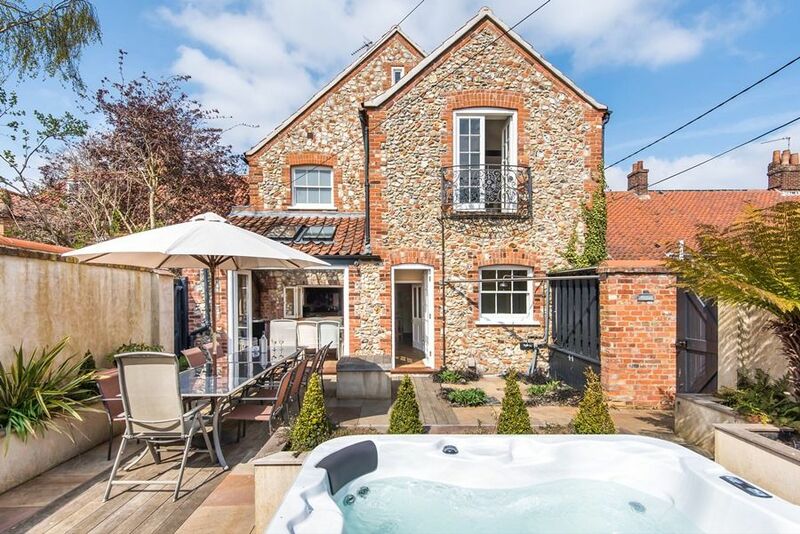 It's been creatively converted to the highest possible standards to create the ultimate Norfolk holiday home combining a wealth of original features, including beautifully preserved beams and exposed brickwork, with all the latest technology. 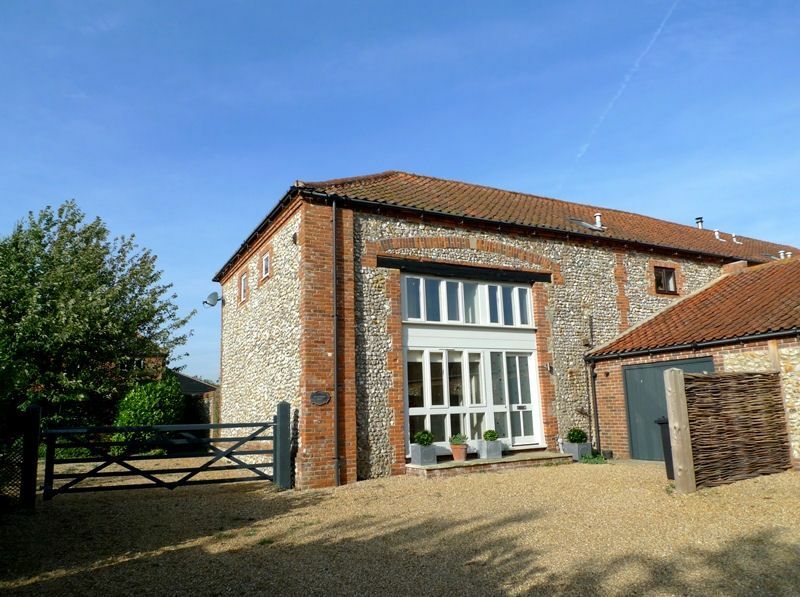 In our opinion this barn truly is the best place to stay in North Norfolk, being quietly located in an idyllic rural location only minutes from Burnham Market, and being stylishly furnished by its professional interior designer owners, making it the perfect choice for families and friends to treat themselves for a really special stay. The luxuriously appointed and well-spaced out bedrooms ensure that no one has "the short straw" with five sumptuous bedroom suites ideal for couples, two of which are located on the ground floor for easy access, plus a downstairs wing perfect for younger generations with a bespoke bunk room adjacent to a superb games room. The charming Georgian village of Burnham Market is easily reached within a few minutes drive, together with the beautiful beaches at Holkham, Wells and Brancaster. Burnham Loft is a fabulous converted luxurious first floor loft in a prime position overlooking the village green, which has to be one of the best places for a couple to treat themselves to a luxury stay in Burnham Market. The loft has been imaginatively designed with a Moroccan influence to create a wonderful sense of light and space with a superb living/kitchen area with large glazed doors opening out onto a private decked roof terrace. The sumptuous boutique hotel style bedroom has a Moroccan style wooden pillared bed and a decadent bathroom. From such a central position on Burnham Market's village green, it is only steps to the great selection of independent shops, galleries, boutiques and the renowned Hoste Arms. Claremont House is an attractive period flint and brick detached house which has been extended and refurbished throughout by its owners for use as their second home. It is quietly located just a short walk from the village green, and has the advantage of a generously sized well-maintained rear garden, with ample off-street parking, at the front, for cars and boats. There's a lovely kitchen with a light and airy dining area in the adjoining garden room, plus a beautifully presented sitting room with a wood-burning stove. Upstairs there's a wonderful high-ceilinged aster en-suite bedroom with a roll-top bath and a further 3 bedrooms and family bathroom. Please note: full weeks only may be taken at this property. 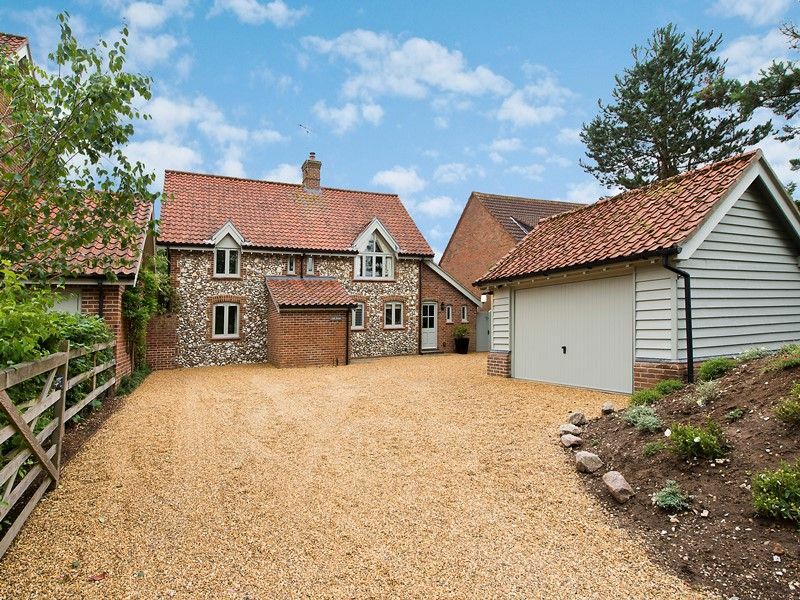 Creake Road Cottage has been refurbished throughout and cleverly transformed from a typical Norfolk flint cottage into a fantastic interior designed holiday home. It is stylishly furnished in a coastal contemporary style and is is perfect for 2 families with 3 bedrooms close together and an adjoining "wing" with a further 2 bedrooms. The original reception rooms have been opened up to create a stunning open plan sociable kitchen, dining and sitting area which is a lovely light and spacious place for family and friends. It is ideally positioned in a quiet location only minutes walk from the vilIage green with a safe walled garden and lovely open views across Burnham Market's playing fields, but well away from the road with off-street parking for several cars or boats. The beautiful North Norfolk coast may easily be reached within a 10 minute drive. During off-peak times of the year it is possible to rent Creake Road Cottage with 3 bedrooms only at reduced rates. 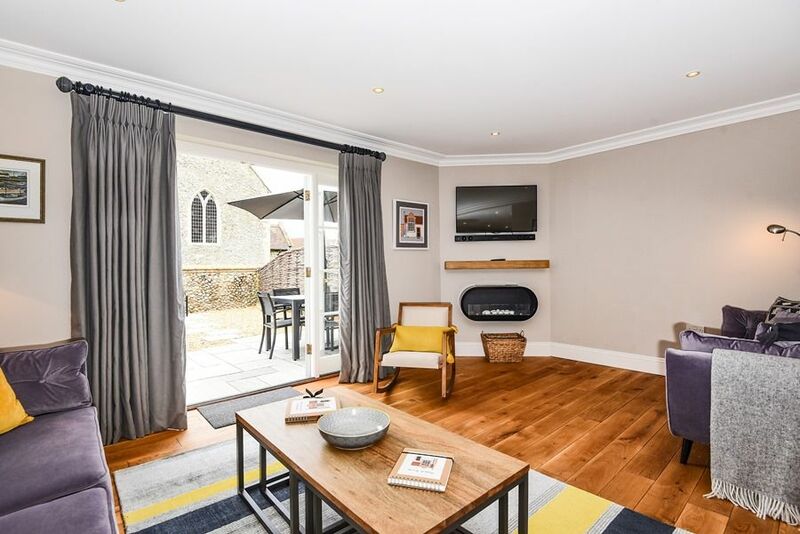 Creake Road Cottage has been refurbished throughout and cleverly transformed from a typical Norfolk flint cottage into a fantastic interior designed holiday home. It is stylishly furnished in a coastal contemporary style and is offered here at off-peak times of the year with 3 bedrooms - perfect for a family or 2 couples. The original reception rooms have been opened up to create a stunning open plan sociable kitchen, dining and sitting area which is a lovely light and spacious place for family and friends. It is ideally positioned in a quiet location only minutes walk from the vilIage green with a safe walled garden and lovely open views across Burnham Market's playing fields, but well away from the road with off-street parking for several cars or boats. The beautiful North Norfolk coast may easily be reached within a 10 minute drive. Please note that during school holiday periods this house must be rented with its adjoining wing, sleeping up to 10 guests in 5 bedrooms. 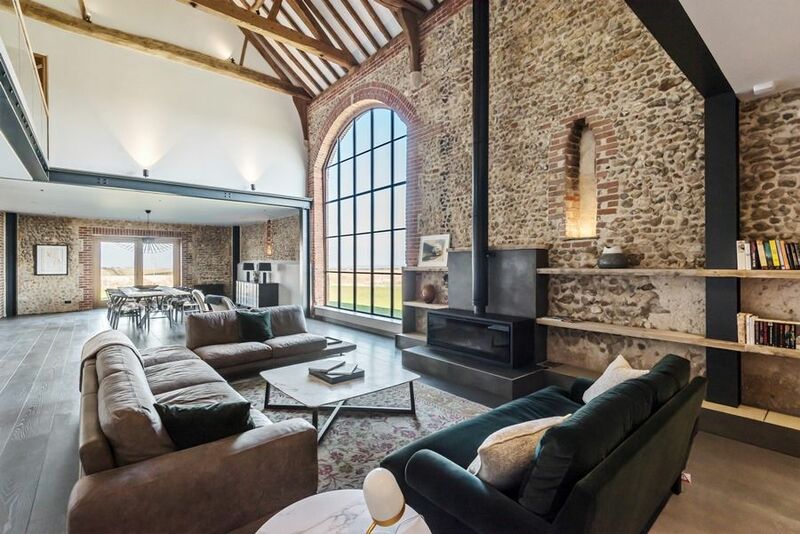 Crowberry Barn is a luxurious period Norfolk barn conversion which has been tastefully refurbished in a contemporary coastal style by its new owners. It is ideally situated to escape from the hustle and bustle of city life, in a quiet rural location approximately a mile and a half from the centre of the Georgian village of Burnham Market, within a short drive of the stunning North Norfolk coast. Downstairs there's a lovely light and airy sitting/dining room overlooking the garden with a stylish wood-burning stove, leading into a quality kitchen with granite work tops. Upstairs the 3 luxuriously appointed bedrooms and 2 bathrooms are perfect for families or couples. Outside there's an attractive fully enclosed rear garden with an additional south-facing garden with a trampoline. Ducklings is refurbished detached bungalow which is under new ownership. It's ideally located in a quiet position within a short walk of Burnham Market's village green and its excellent selection of shops, galleries and the renowned Hoste hotel. It has been thoughtfully furnished and equipped to make this a warm and inviting holiday home for guests throughout the year, ideal for two couples or a family, with 3 bedrooms and 2 bathrooms and the advantage of central heating and a wood-burning stove. Leading off the sitting room is a light and airy conservatory opening into a private enclosed garden, safe for small children and dogs. 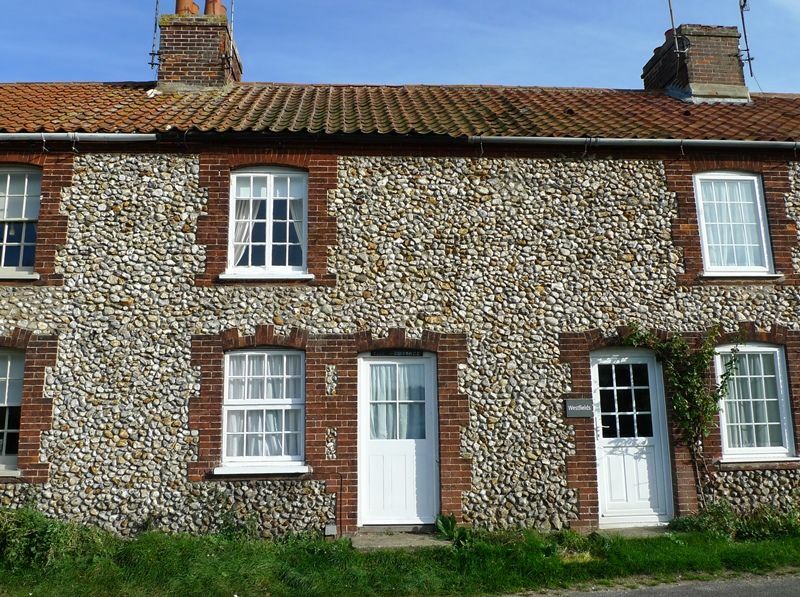 Field Cottage is a comfortable detached flint and brick house which has been a much loved holiday home for many years. It has lovely open views across Burnham Market's playing fields and is ideally positioned in a quiet location only minutes walk from the village green, but well away from the road with off-street parking for several cars or boats. There's the advantage of a good-sized downstairs twin bedroom and bathroom, with a further 2 bedrooms and bathroom on the first floor. With its sociable sitting/dining area, well-equipped kitchen and utility room, together with a safe walled garden, this is a perfect family holiday house throughout the year. 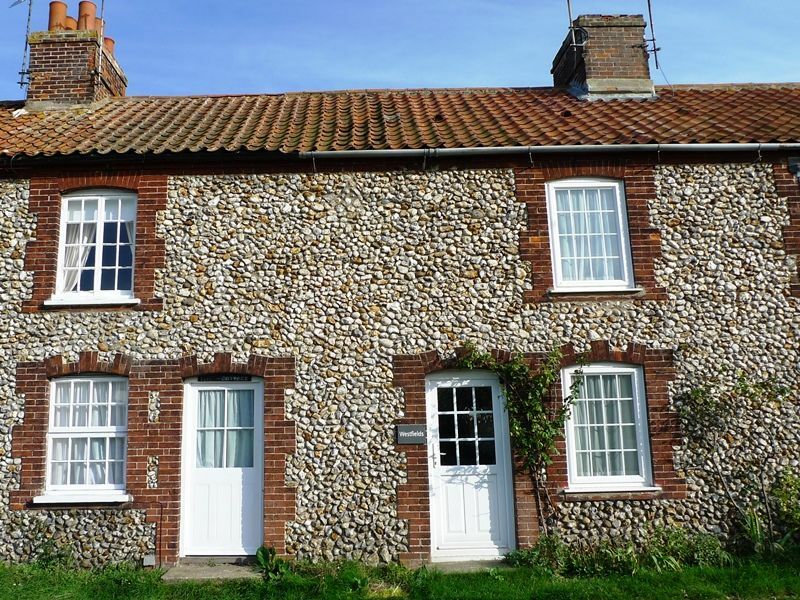 Flint Cottage is a traditional Norfolk flint and brick cottage which makes a lovely holiday home. It is a perfect place for a couple or a family to stay throughout the year, being within walking distance of Burnham Market's village green with its excellent selection of independent shops and galleries, as well as the renowned Hoste Arms hotel. The beautiful, unspoilt Norfolk coast is easily reached within a 10 minute drive, or a trip on the local Coasthopper bus. Flint Cottage is a beautifully presented period brick and flint cottage which has recently undergone a full refurbishment (in 2018) whilst retaining some attractive period features. 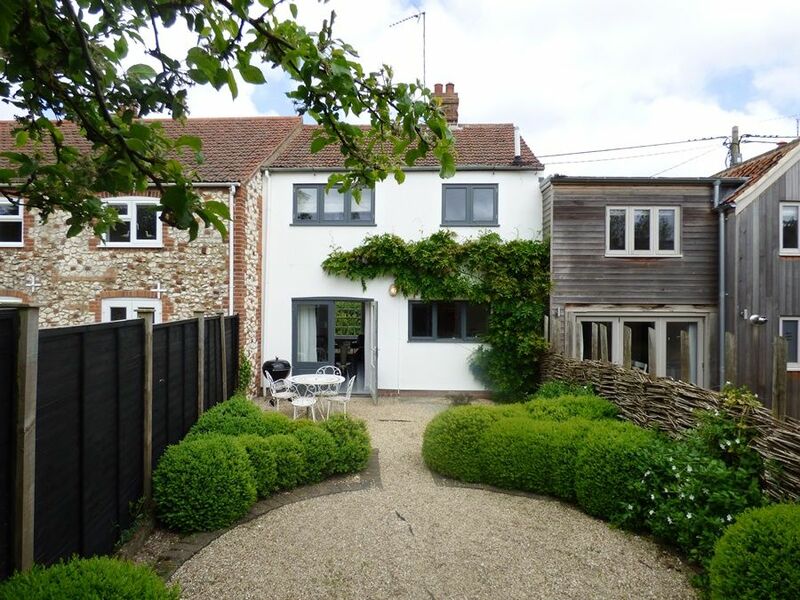 Located in Burnham Market it offers a perfect retreat for couples or a small family with ease of access to many of Burnham Market's restaurants, eateries and amenities. The fabulous beaches which North Norfolk are famous for are within easy reach, along with other popular attractions which include stately homes and local wildlife. The owner of this cottage also owns a beach hut at Wells-Next-The-Sea which can be rented by separate agreement for £30.00 - £60.00 per day (Dependant upon Season) and subject to availability. The Hut is popular and during summer is booked months ahead but for advance bookings, the owner can check availability. Fortune Cottage is a beautifully presented period Georgian cottage, conveniently located just off the village green in the heart of Burnham Market. This delightful cottage is ideal for couples or a family of four with two lovely double bedrooms on the first floor. Although as with many older cottages the rooms are not large and storage space is limited.. Downstairs there's a gorgeous farmhouse style kitchen with an original pamment tiled floor and beamed ceiling, adjacent to a charming sitting room with a wood-burning stove (generously supplied with logs), making this a warm and inviting place to stay throughout the year. 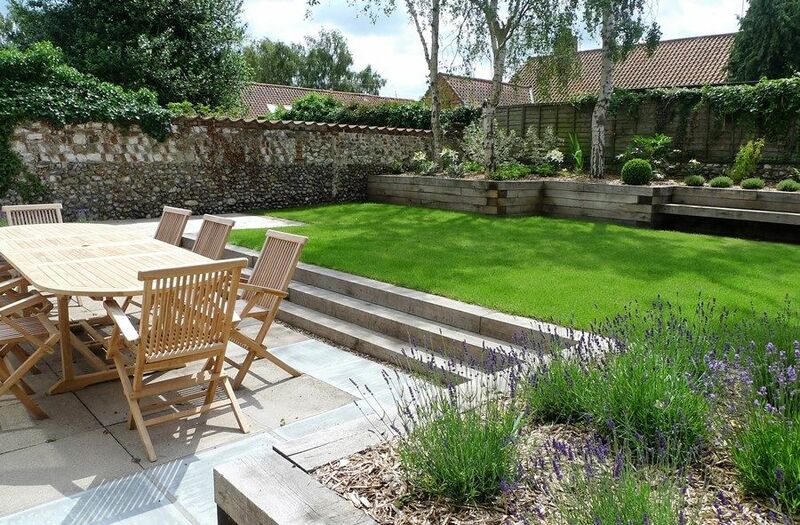 Outside is an attractive, newly landscaped, walled courtyard garden with garden furniture, perfect for dining al fresco or for containing small children and dogs!. It's only two minutes walk to a wonderful selection of independent shops, galleries and excellent places to eat & drink. It is also just a few minutes drive to north Norfolk's spectacular wide open sandy beaches. The Garden House is a wonderful Georgian house ideally located just steps away from Burnham Market's picturesque village green, which has been stylishly refurbished throughout with the addition of a fabulous new bespoke kitchen and a new basement utility room, together with complete redecoration throughout. This is a sociable, spacious house with generously proportioned living areas, including a lovely garden room overlooking a private walled garden.Upstairs there are two beautifully presented bedrooms, both with their own bathroom, making this a superb place to stay for families and friends throughout the year. Kitts Cottage is a lovely refurbished period Norfolk cottage, located in a quiet location within an easy stroll of Burnham Market's picturesque Georgian village green, with a lovely children's playground on the way!. 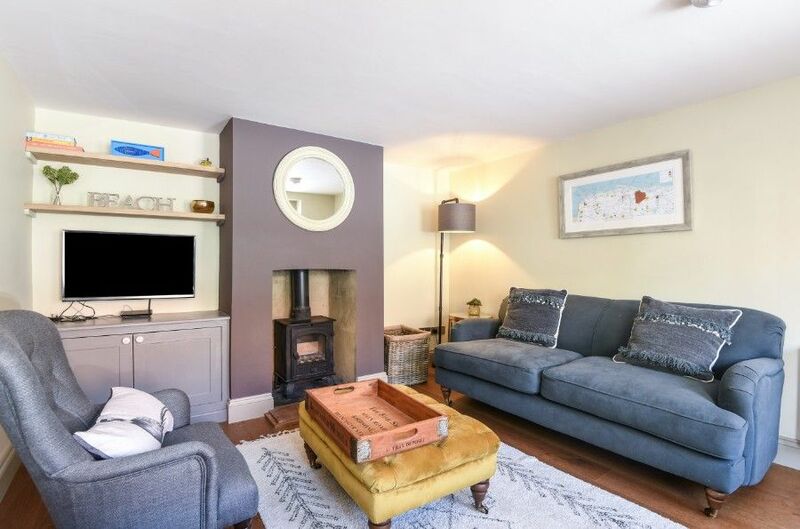 This delightful cottage has been carefully renovated by its owners and now benefits from a super kitchen/breakfast room and a light and contemporary sitting room with a wood-burning stove. There is the added advantage of two private parking spaces and a walled courtyard garden, making this a perfect place to stay for a family or two couples, with two king-sized bedrooms and a third bedroom with twin beds more suitable for children. 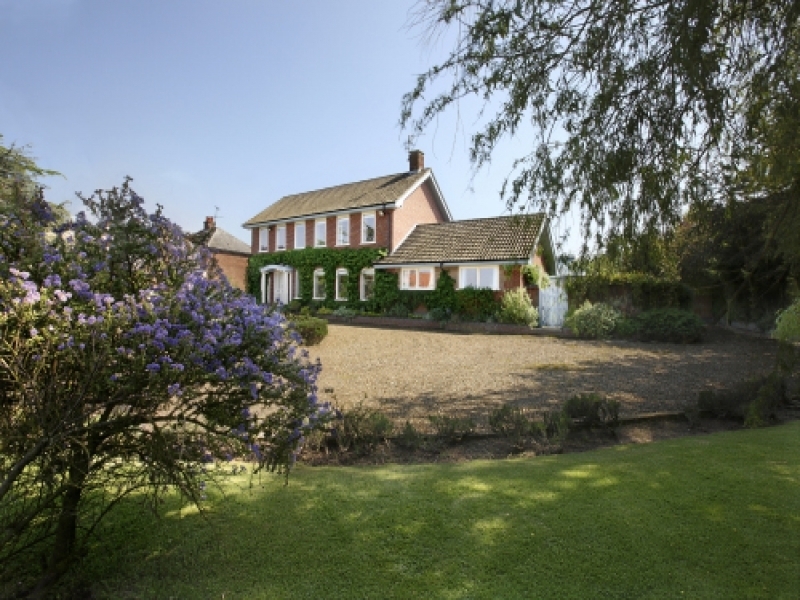 With the beautiful Norfolk coast only 2 miles away and an unrivalled selection of excellent local places to eat, Kitts Cottage provides the ideal base for exploring this idyllic part of Norfolk. La Mouette is a stylish spacious holiday cottage (named after the pirate ship in Daphne du Maurier's novel "Frenchman's Creek") which is beautifully presented and comfortably sleeps 6. Benefiting from a new kitchen It has been furnished and equipped to a high standard (including the provision of Wi-Fi) and provides an ideal base for exploring the beauty of the North Norfolk coast. It is conveniently situated only a few minutes walk from Burnham Market's village green with its excellent selection of independent shops and the renowned Hoste Arms hotel, there is fish and chip shop and chinese takeaway just around the corner. The Nelson pub which has a lovely atmosphere and sells great food is a 2 minute walk away. There is a fully enclosed garden and off-street parking for 2 cars. 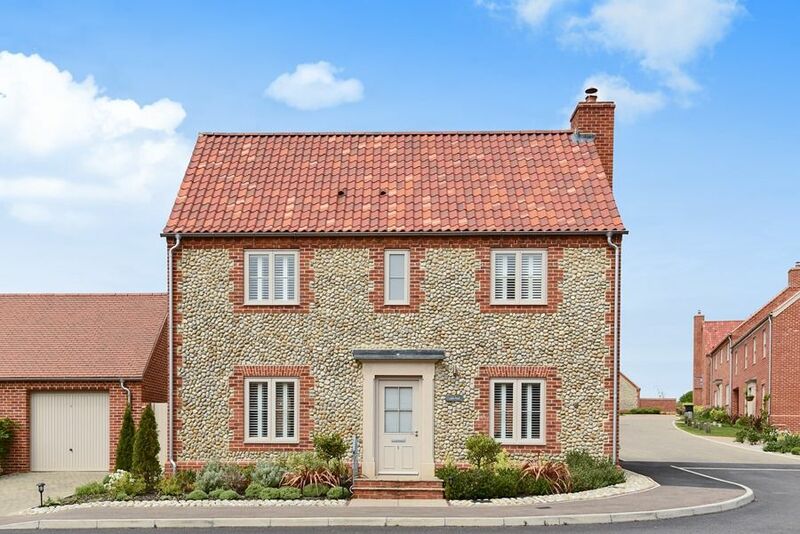 Lapwing is a lovely spacious flint and brick bungalow which is quietly situated within walking distance of Burnham Market's village green, with its excellent selection of shops, galleries and the renowned Hoste Arms hotel. This superb holiday home benefits from a light and airy large sitting room with a wood-burning stove. 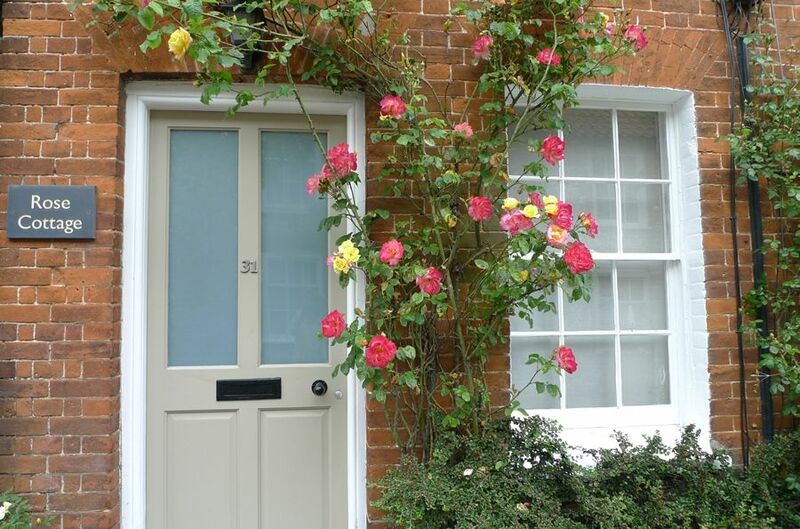 With two beautifully presented bedrooms, the added advantage of off-street parking and an attractive, safe, walled garden, this is an ideal place for couples or families to stay throughout the year. 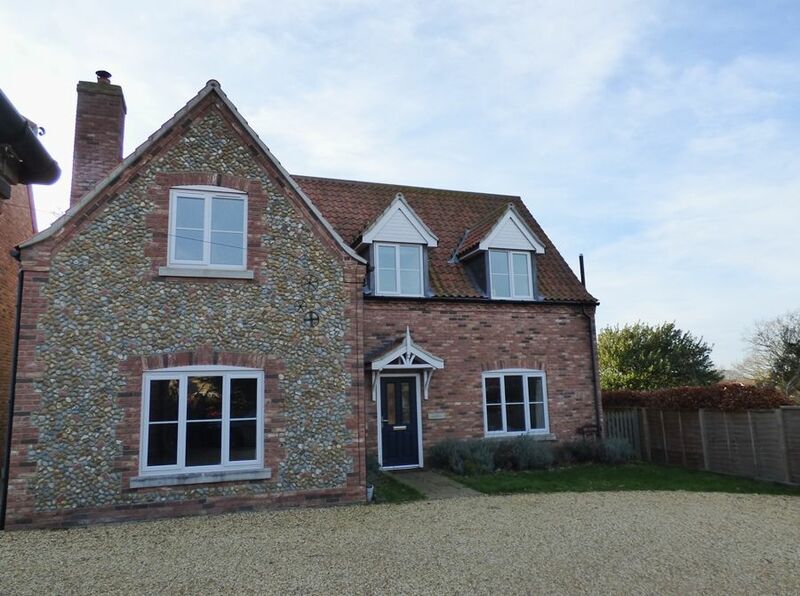 It is conveniently located within a 10 minute drive of the beautiful North Norfolk coast and a short drive to the Royal Sandringham Estate, Holkham Hall and Houghton Hall. 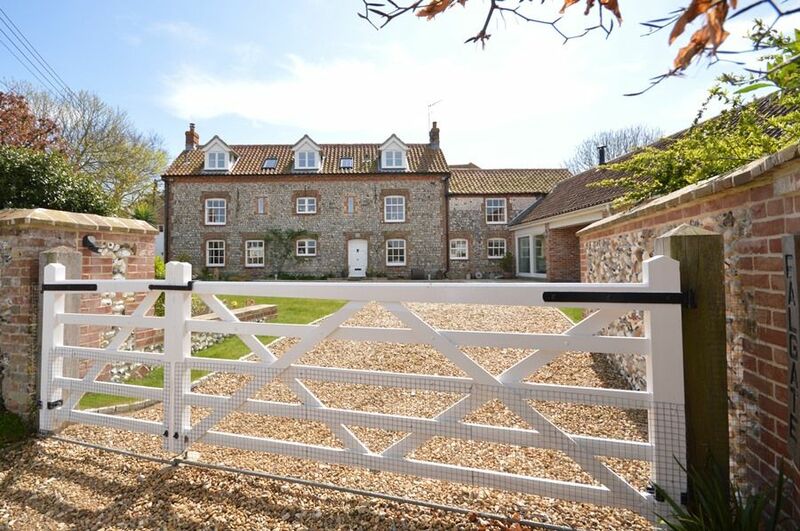 Lark House is a stunning traditional Norfolk flint house in the heart of Burnham Market. It has been fully refurbished with exceptional attention to detail and a strong focus on quality of finish and contents. Combining style, function and luxurious comfort, the owners have created a beautiful haven for their guests who will want to return time and again.This has to be one of Burnham Market's most desirable holiday homes with a wonderful sociable "live-in" kitchen and a stunning double height barn conversion style first floor sitting room with double aspect windows and a new wood-burning stove. There is also the advantage of a mezzanine study/sitting area and all the latest technology with smart TVs, Sky Movies available, free Wifi and Bluetooth music system. It is situated in one of the most sought after lanes in Burnham Market, in a quiet location with a lovely private garden, within 2 minutes walk from the village green with its excellent selection of independent shops and the renowned Hoste Arms hotel, making it the perfect venue for a luxurious Norfolk break throughout the year. Lavender Cottage is a beautifully presented Georgian terraced cottage which has been completely renovated and refurbished to an extremely high standard. 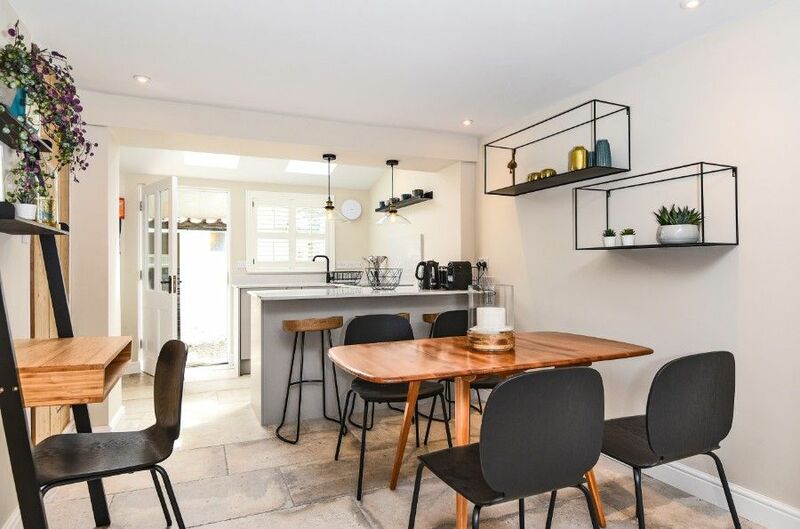 Owned by a professional interior designer, this charming cottage has been imaginatively designed to provide a stylish and comfortable retreat for up to five guests, with two upstairs bedrooms, each with their own bath/shower room and a third downstairs single bedroom. 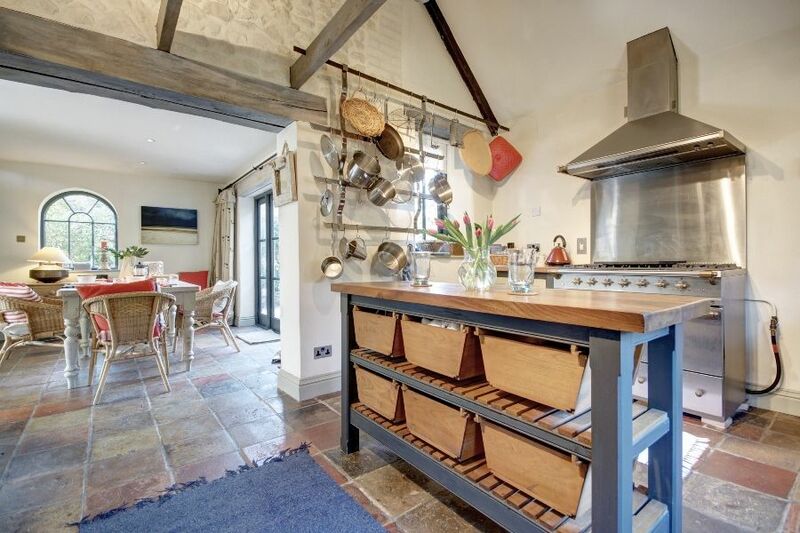 Downstairs there's also a super kitchen, lovely sitting room with open fire and a cloakroom. It's ideally positioned in the heart of Burnham Market only a few steps from the picturesque village green, with the advantage of a private off-street parking space (for a small car), a lawned sun-trap and a bijou courtyard garden for outside dining. North Norfolk's spectacular wide open sandy beaches are less than 10 minutes drive away. 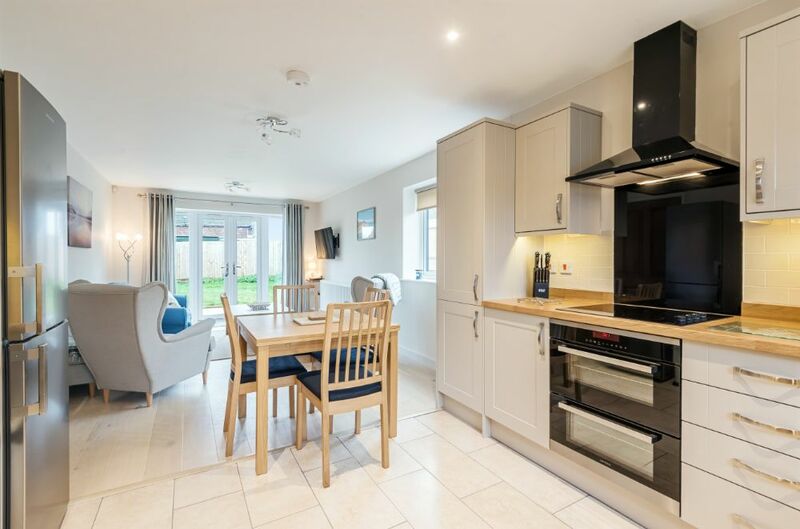 Mallards is a beautifully presented newly decorated detached house which has been professionally styled and furnished to provide a luxurious holiday home. It has a stunning kitchen with an Aga which is open to the sociable living area with relaxed TV area and spacious dining area overlooking the courtyard garden. Downstairs there is also an impressive garden room providing a lovely separate sitting room, plus the advantage of a ground floor bedroom with shower room, making this house perfect for groups of family and friends. 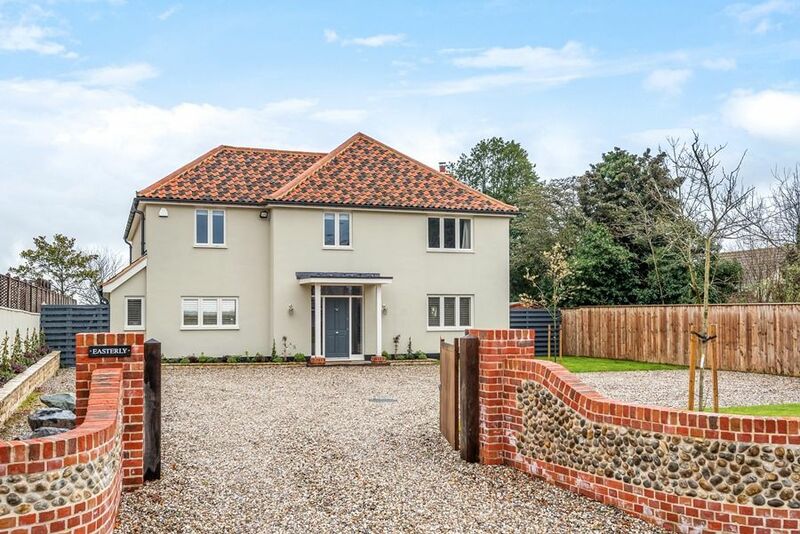 It is ideally situated in Burnham Market's highly sought after quiet Herrings Lane only a stone's throw from the village green and the great selection of independent shops, boutiques, art galleries and the renowned Hoste hotel. 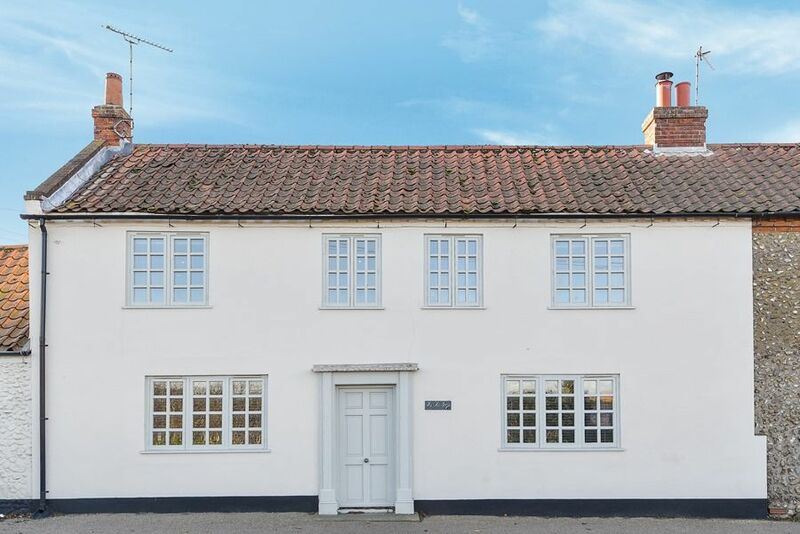 Nelson Cottage is a charming period mid-terrace Norfolk cottage which has been tastefully refurbished. It is beautifully presented throughout with a contemporary bathroom and kitchen, a comfortable sitting room with an open fire-place, with the advantage of free Wi-Fi and BT Vision. It is conveniently located in the heart of Burnham Market within a short walk to the village green with its great selection of independent shops, galleries and places to eat. There is a fully enclosed courtyard garden which catches the afternoon and evening sun, and it's only 2 mins walk to the playing fields with tennis courts and a childrens' playground. Nelson Lodge is ideal for families having 5 bedrooms and 3 bathrooms with its large enclosed garden which backs onto wonderful open countryside views. 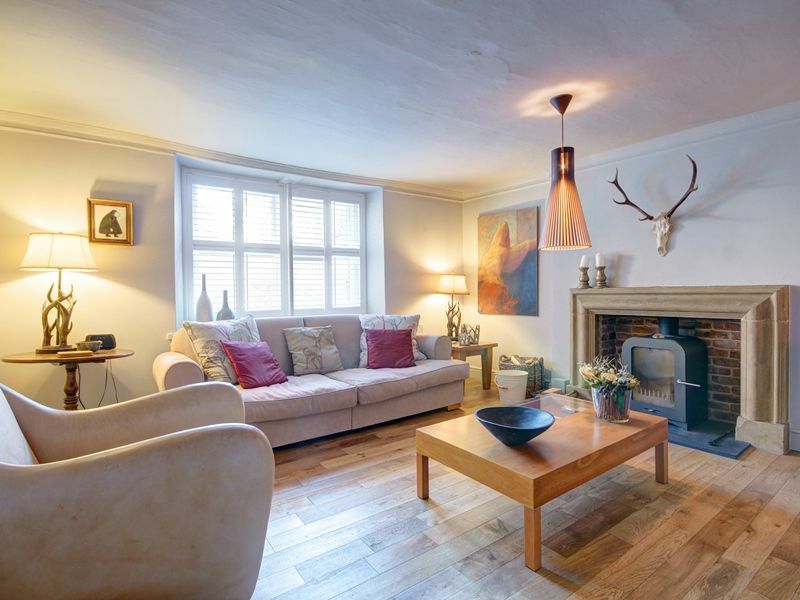 It is situated within a short walk of Burnham Market's village green with its great selection of independent shops and restaurants.This is a comfortable family second home which will be liked by those wishing to escape from city life and not looking for a boutique hotel experience! Orchard House is a contemporary, generously proportioned detached house with high quality furnishings and contents. This is a superb house, with beautifully presented accommodation laid out over three floors, perfect for two families or up to five couples, including a wonderful light and airy open plan ground floor living area and a stunning first floor sitting room with lovely open countryside views. The five luxurious bedrooms have been carefully furnished for comfort, with the advantage of a ground floor twin room and shower room, two first floor gorgeous master bedrooms with en-suite bath/shower rooms and a further two twin rooms sharing a bathroom on the top floor. It is quietly situated along Burnham Market's most sought after lane with ample off-street parking and a large rear lawned garden overlooking open fields. This is the ultimate location only minutes walk from the village green with its excellent selection of independent shops and restaurants and only a short drive to the beautiful Norfolk coast - simply the perfect place to stay during the summer or winter. Please note that during off season periods there is the option to rent Orchard House at reduced rates with the use of three bedrooms only (not the top floor). Orchard House is a contemporary, generously proportioned detached house with new high quality furnishings and contents. This is a superb house, with beautifully presented accommodation, offered here on a reduced occupancy basis with the use of two floors (not the top floor), perfect for a family or up to three couples. There is a wonderful light and airy open plan ground floor living area and a stunning first floor sitting room with lovely open countryside views. The luxurious bedrooms have been carefully furnished for comfort, with the advantage of a ground floor twin room and shower room and two first floor gorgeous master bedrooms with en-suite bath/shower. Please note that during peak periods Orchard House must be rented with the use of all three floors and five bedrooms. Oystercatchers is a beautifully presented luxurious home, part of the exclusive Foundry Field development, nestled in the heart of the charming Georgian village of Burnham Market. No expense has been spared to create this carefully designed contemporary home, crafted using local materials and incorporating a superb kitchen, lovely sitting room and two beautiful bedrooms each with their own contemporary bath/shower room. The owners have tastefully furnished Oystercatchers and carefully equipped it for high quality holiday lets, combining luxury with functionality to ensure guests have a truly comfortable stay. Outside there's the advantage of an enclosed south facing lawned rear garden with terrace, perfect for dining alfresco, and two private off-street parking spaces at the front. It's conveniently positioned within a short walk of Burnham Market's picturesque village green and less than 10 minutes drive to the stunning North Norfolk coast with its wide open sandy beaches. Pebble Cottage is an extremely comfortable home from home. It has three attractive bedrooms with two modern bathrooms and a wonderful spacious kitchen/breakfast room. There is a large fully enclosed garden and off-street parking. Burnham Market's village green with its excellent selection of independent shops and galleries is only a short walk away. Pepys House is an outstanding contemporary detached house in an idyllic rural location on the outskirts of the highly sought after Georgian village of Burnham Market. This house has been constructed to an extremely high specification and tastefully furnished in a contemporary style for use as a family second home. On the ground floor there are two charming sitting rooms, a modern shower room and a fabulous kitchen/breakfast room opening onto an attractive terrace with lovely open countryside views. 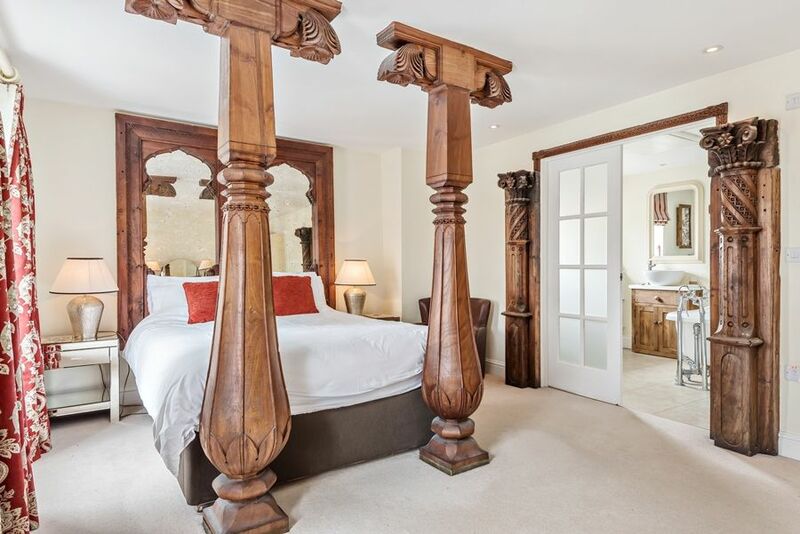 Upstairs there are four beautifully presented bedrooms, one with an en-suite shower room and a family bathroom. 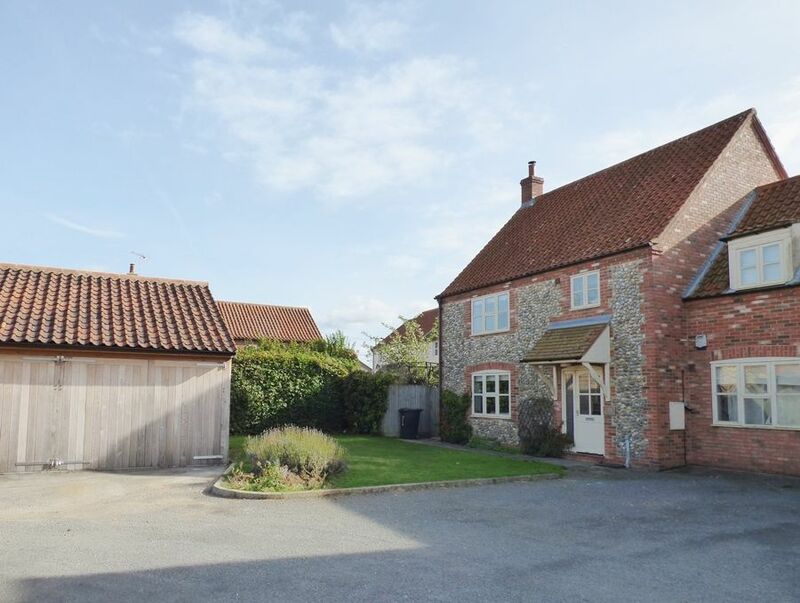 This is a perfect place to stay for families and friends within a short drive of the stunning North Norfolk coast and the charms of Burnham Market, whilst enjoying a peaceful location away from any main roads with attractive front and rear lawned gardens. 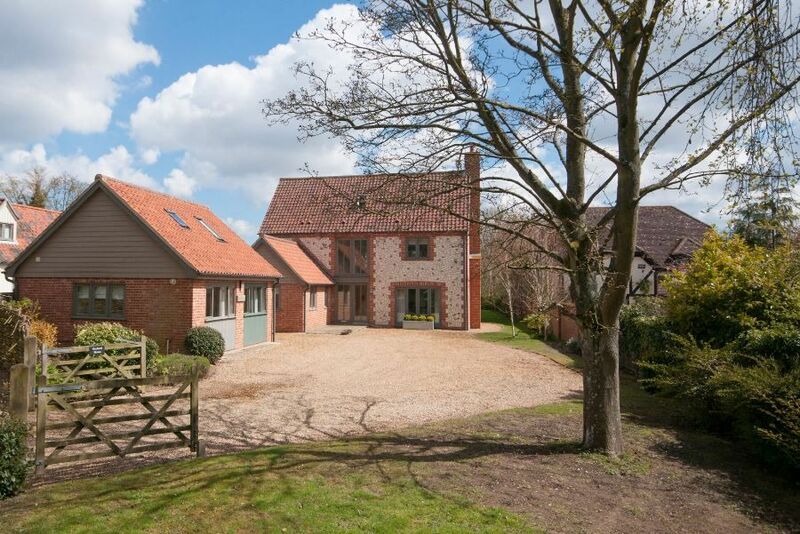 Prospero’s Barn is a light and spacious barn conversion which has recently been updated by new owners, with a high vaulted ceiling and contemporary fixtures and fittings. Downstairs is open plan with a full-height entrance hall leading into a large well-equipped kitchen dining area and a lovely sitting room with a wood-burner. Upstairs has two high-ceilinged bedrooms each with their own en-suite contemporary shower room. Outside is a quiet patio area perfect for sitting back and relaxing, the views to the front are of fields and it is quietly located only a short walk to Burnham Market’s village green with its excellent selection of independent shops and places to eat. An end terrace cottage ideal for couples or a family of four with two bedrooms. The front door opens into a large, comfortable and spacious living area leading through to a well-equipped kitchen with an Aga. The kitchen's double doors open straight out to an attractive, enclosed and private courtyard garden with a table and chairs for outdoor dining on sunny days. It is in an ideal setting just off the green in the heart of Burnham Market, with its wonderful shops, galleries and the renowned Hoste Arms. It is also just a few minutes drive to north Norfolk's spectacular wide open sandy beaches. Rosemary House is a beautifully presented period Georgian detached house, carefully renovated and refurbished by its owners to create a wonderful holiday home. This is undoubtedly one of the most highly sought after holiday houses in Burnham Market, having the great advantage of a well-maintained private walled garden, off-street parking and just a few steps from a lane leading to the village green. 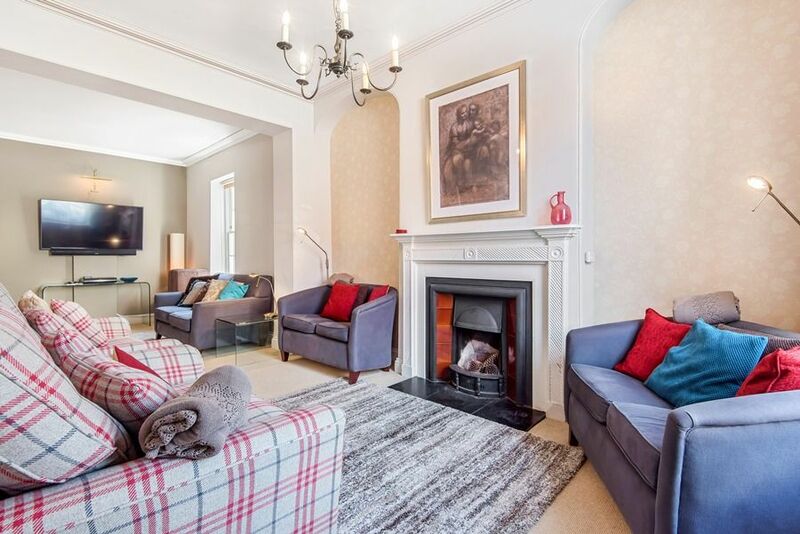 This is a light and airy spacious house with period features and the luxury of two lovely sitting rooms and an attractive kitchen/breakfast room with a full height vaulted ceiling. Guests are assured of a comfortable night's stay in any of the three gorgeous bedrooms, with three bath/shower rooms. 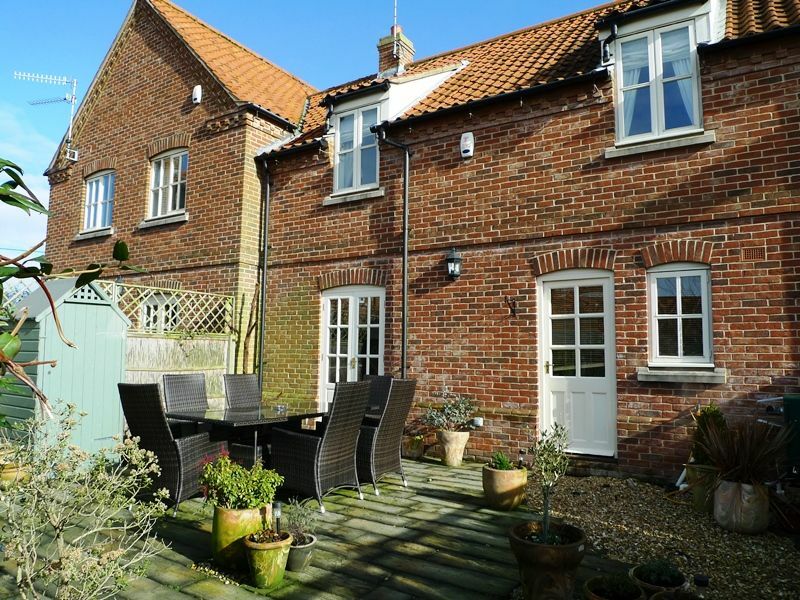 Ideal for couples or a family, this is a superb house in a fabulous location within a short drive of the stunning Norfolk coast and a short walk to an excellent selection of local shops, boutiques and galleries and the delicious food & drink at The Hoste Arms. Saffron Cottage is a beautifully presented Georgian period cottage. 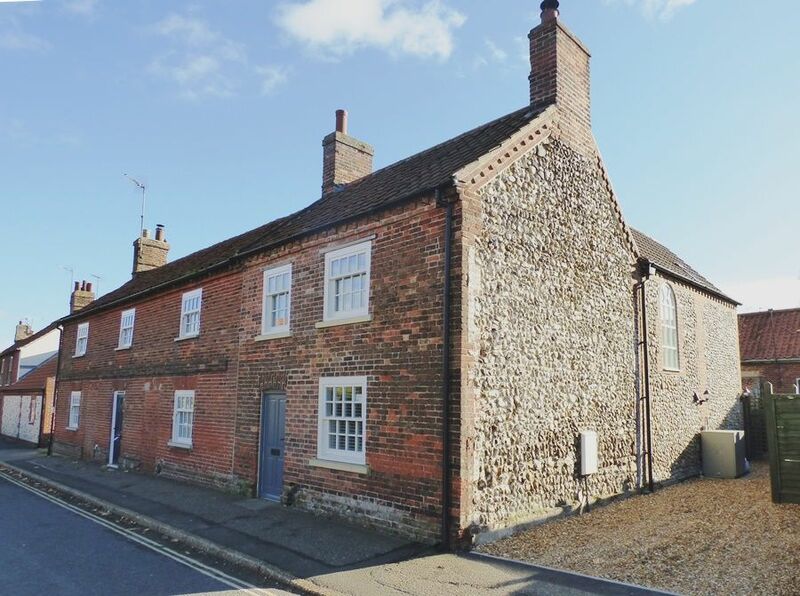 This delightful cottage has a wealth of original features, including a large inglenook fireplace, and is deceptively spacious with three ground floor reception rooms: charming sitting room, light and airy dining area and a separate cosy snug. Upstairs there are two lovely bedrooms and a superb bathroom with a slipper bath and walk-in shower. It's ideally positioned in the heart of Burnham Market, just off the picturesque village green, with an attractive private fully enclosed courtyard garden. North Norfolk's spectacular wide open sandy beaches are less than 10 minutes drive away. 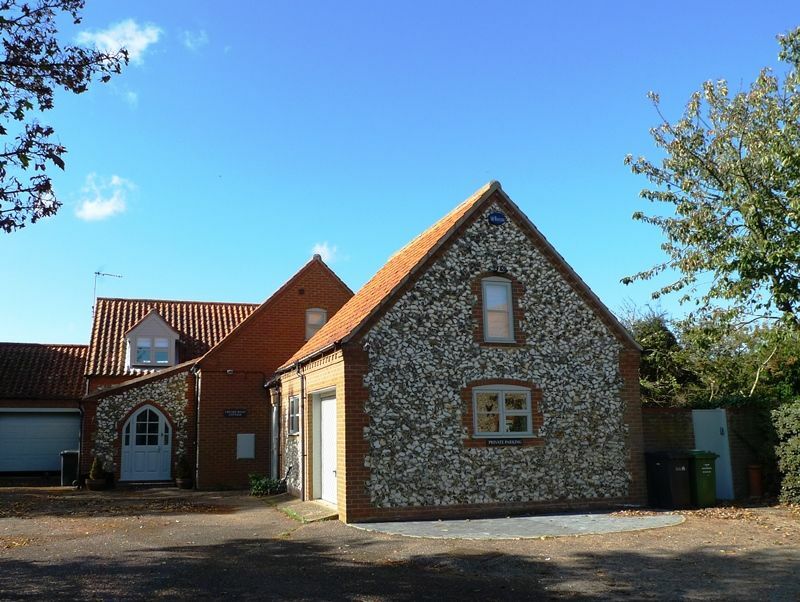 Sea Lavender Cottage is an attractive brick and flint Norfolk cottage with open plan living area with a kitchen, bathroom, 2 bedrooms with Egyptian cotton bed linen and modern thermostatically controlled heating, making this the perfect place to stay throughout the year. The village green with its excellent range of independent shops and great places to eat is only a couple of minutes' walk away. 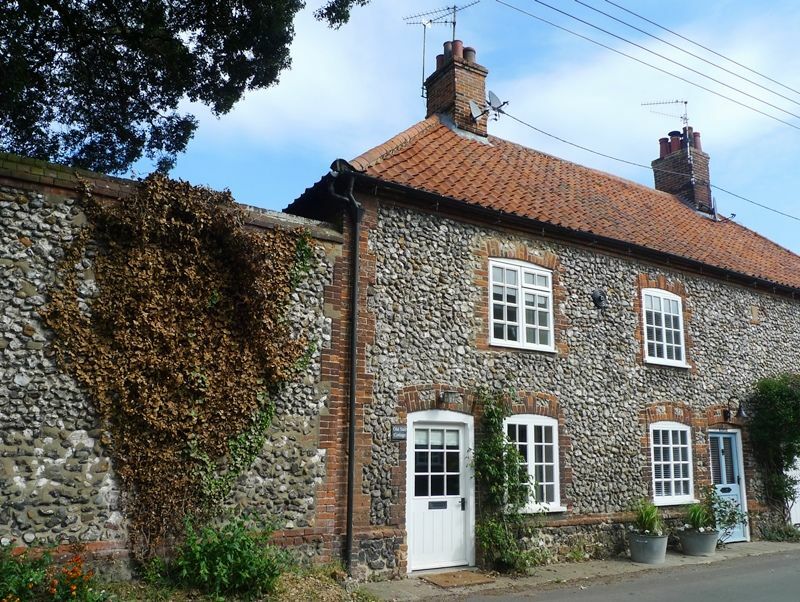 Shingle Cottage is a beautiful bijou Norfolk flint & brick cottage which has been stylishly furnished throughout to create a comfortable holiday cottage. It has a spacious contemporary open plan sitting/dining and kitchen area with underfloor heating. Upstairs you have a stylish master bedroom with a double bed, a second bedroom offering bunk beds, and between the two bedrooms is the shower room. There are stairs up to a loft room which has a day bed suitable for older children. Outside is a separate detached outhouse containing a bathroom, and can be used as a utility/boot room where bicycles may be stored. The garden, which is a south facing, is a delight with plenty of seating and a BBQ area. Shingle Cottage is conveniently located only a minute's walk from Burnham Market's village green which has an excellent selection of independent shops, galleries and a great choice of superb places to eat and drink. Spring Cottage has to be the ultimate luxurious holiday cottage! 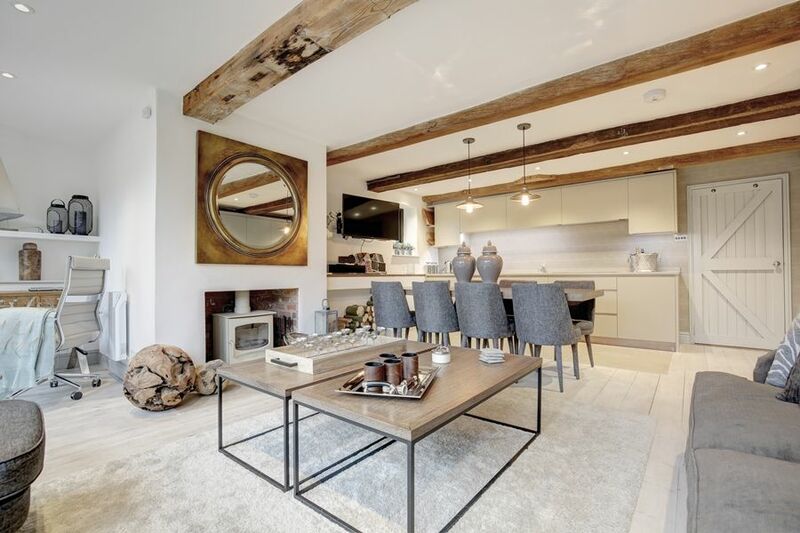 This fabulous detached home is the result of creative design and outstanding attention to detail to create a stylish and comfortable light and airy retreat, with high-ceilings and a sociable open plan living area. It's quietly tucked away off a no-through lane only minutes walk from the heart of the highly sought after Georgian village of Burnham Market . The owners have spared no expense and taken great care to ensure that guests have a fabulous stay, with a stunning modern kitchen, contemporary bath/shower rooms and tasteful contemporary coastal decor throughout. Spring Cottage has two beautifully presented bedrooms, each with their own bath/shower room. The lovely master king-size bedroom is on the first floor with a Juliet balcony, with an attractive twin room on the ground floor, making this a perfect place to stay for less able guests . The distance between the bedrooms may not be suitable for very young children. Guests may enjoy the privacy of a landscaped garden with lawn and terrace, with outside furniture and a barbecue, easily accessed via glazed doors from both the sitting room and the kitchen. There's no worry about parking either, with a long driveway leading to private parking space for two cars. North Norfolk's spectacular wide open sandy beaches are less than 10 minutes drive away. In low season prices are reduced by 10% if only one bedroom is used, unless specified this will be the kingsize bedroom. 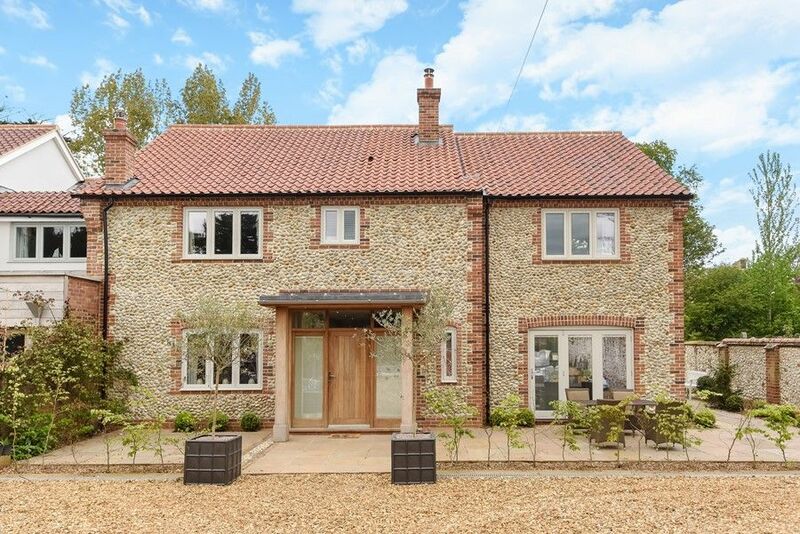 Sutton Cottage has been meticulously restored to an extremely high standard by the owners who have successfully renovated this traditional Norfolk flint and brick cottage in keeping with the period but with a contemporary twist. It has a beautiful bedroom with king-size double bed, an amazing bathroom and a comfortable sitting room with wood-burner. Outside there is a pretty gravelled courtyard garden. The cottage is situated on the outskirts of the Georgian village of Burnham Market within a short walk of the village green. The Bakehouse is an exceptional conversion of part of an old Bakery, providing a boutique hotel experience for one or two couples in the heart of Burnham Market. This is a beautifully presented place to stay, carefully and tastefully furnished for the owners to enjoy as their Norfolk coastal retreat. It has been cleverly designed with two luxurious bedrooms each with their own contemporary shower-rooms in separate areas on the ground floor (accessed via separate staircases), whilst the stunning kitchen and sitting room are on the first floor, together with an outside decked seating area and a spacious bathroom. Conveniently located only minutes walk to Burnham Market's village green with its excellent selection of independent shops and galleries, and the renowned Hoste Arms hotel. This property is for adults only. 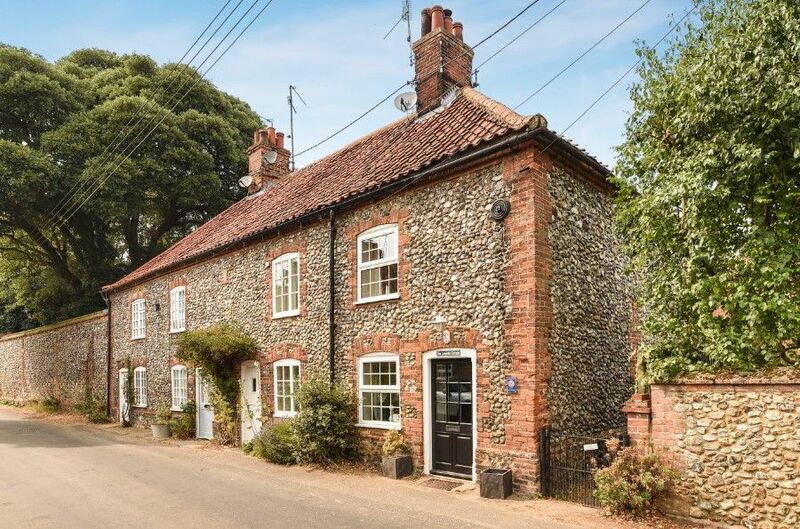 A typical Norfolk brick and flint cottage which is located in a quiet area of Burnham Market, within 10 minutes of the village green, with the advantage of off-street parking and an attractive enclosed cottage garden. The beautiful coast at Burnham Overy Staithe or Brancaster is only 10 minutes drive away. 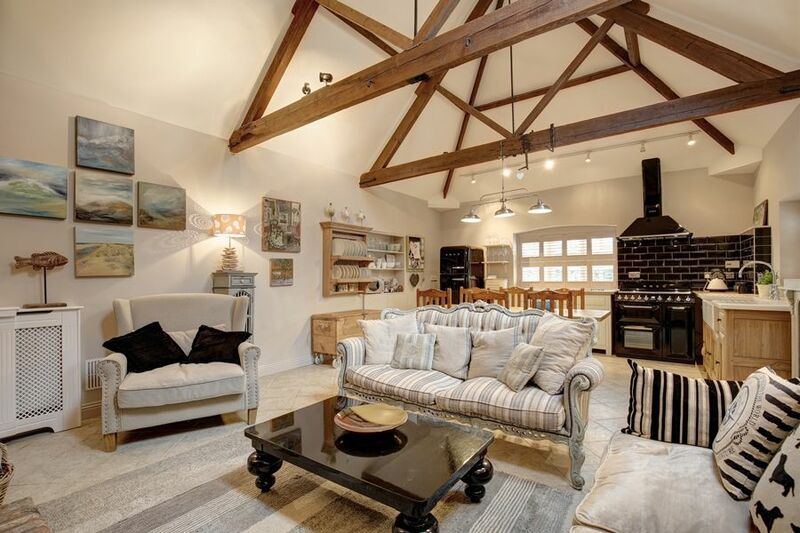 This is a fabulous conversion of an original blacksmith's foundry, dating back over 200 years, renovated throughout and stylishly furnished to an exceptionally high standard by its owners for use as their luxurious holiday home, including the creation of a superb loft bedroom suite. On the ground floor there's a stunning open plan living area with a high vaulted ceiling, providing a sociable cooking/dining/sitting area, with a lovely original brick fireplace housing a wood burning stove, as well as two beautifully presented en-suite bedrooms. The Foundry is conveniently located only a few minutes' walk to Burnham Market's picturesque village green, which has a wide selection of independent shops, galleries and excellent places to eat. It is adjacent to The Old Forge and these properties may be booked together to provide accommodation for up to twelve guests. The House on the Green is an exceptional Grade II listed Georgian house situated in a prime position on Burnham Market's village green. Its imaginative design and tasteful furnishings make it, in our opinion, one of the finest holiday houses available in Burnham Market. Downstairs there is a superb open plan kitchen, eating and sitting area which opens onto the attractive south facing walled garden. The first floor has 2 bedrooms and 1 bathroom and a small shower room, with a delightful loft conversion providing a second floor bedroom and landing. A perfect place to stay and enjoy the excellent selection of local shops, boutiques and galleries and the delicious food & drink at The Hoste Arms. The Sidings is a spacious much-loved family holiday home which was used exclusively for private use until 2018. 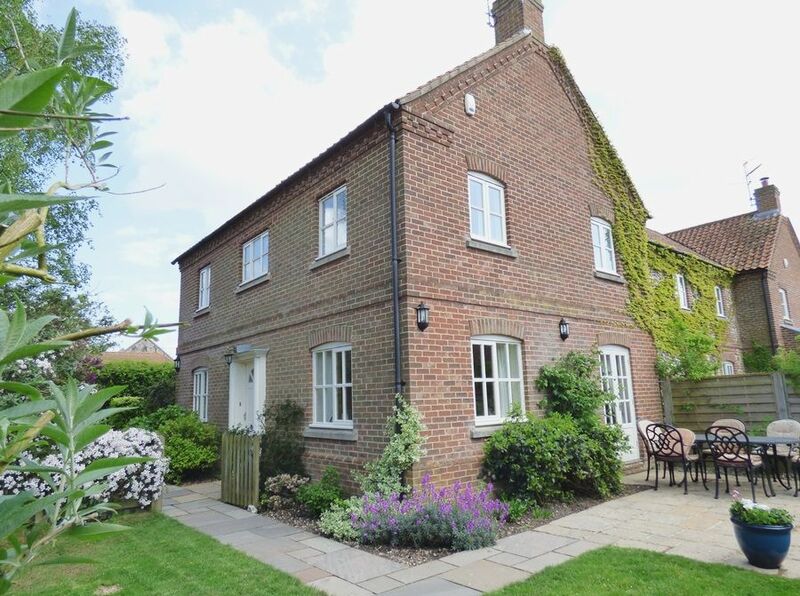 It is quietly located, tucked away in Old Railway Yard, with ample parking space and a lovely private garden, yet only minutes walk from Burnham Market's village green and the playing fields. This lovely house has a light and airy sitting room leading through to a fitted kitchen/breakfast room, with doors opening out to the landscaped private garden. Upstairs there's a superb master en-suite bedroom with a super king-size bed, an attractive twin room and a bedroom with three single beds perfect for children. Outside there's the advantage of an annexe providing a really useful extra sitting room (with sofa bed) and fitted shower room. There's an attractive landscaped south facing rear garden with a pergola and lovely terraced areas for dining alfresco, with the advantage of private off-street parking spaces (at the front). Conveniently positioned within the heart of this charming Georgian village and less than 10 minutes drive to the stunning North Norfolk coast with its wide open sandy beaches. 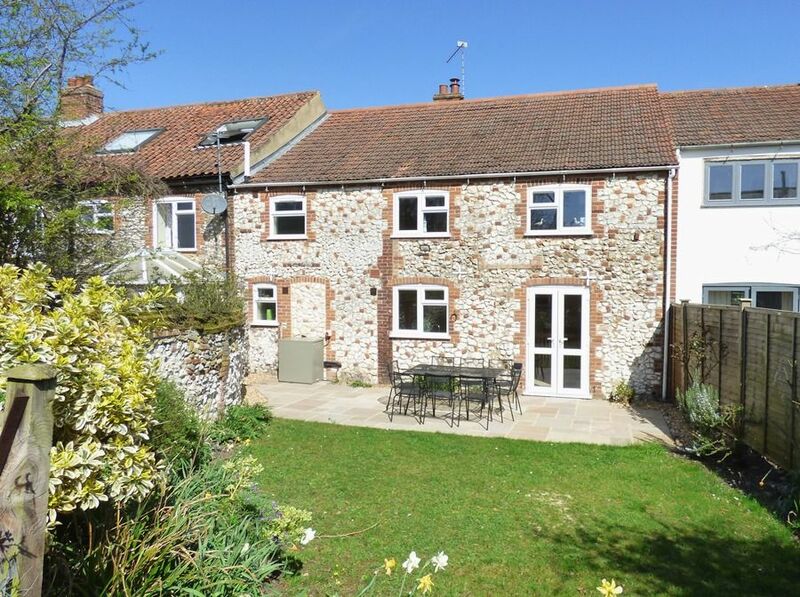 The White House is a charming traditional Norfolk cottage which offers accommodation for a family or couple throughout the year, with a light and spacious open plan living area. It is situated only minutes walk from the village green with its excellent range of independent shops and great places to eat. Wheel House is a comfortable well-loved detached family holiday home, conveniently situated in the heart of Burnham Market, with ample private parking space and an attractive landscaped enclosed garden. The house has been opened up to create a light and spacious living room with a wood burning stove, which can comfortably seat up to nine guests. Upstairs there are three good-sized bedrooms and a family bathroom, with the advantage of a downstairs shower room - ideal after a trip to the beach! 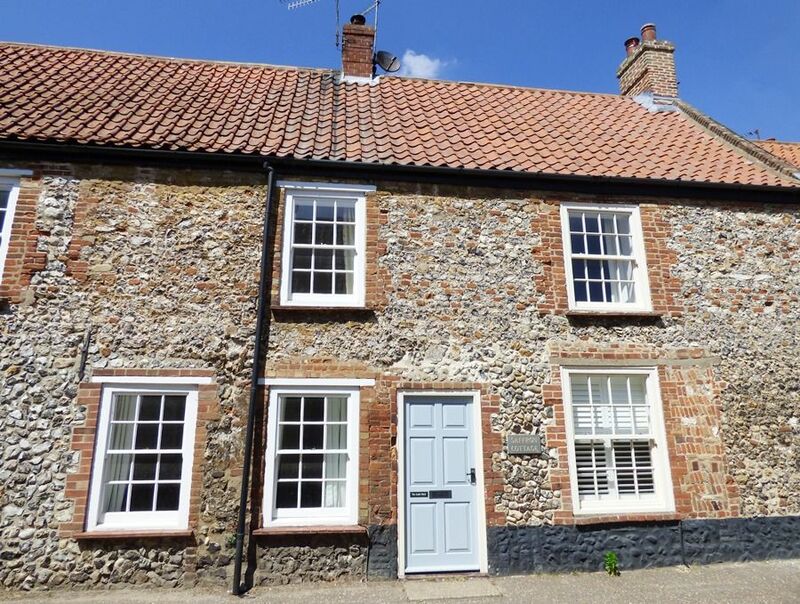 This is a homely place to stay throughout the year for exploring the delights of North Norfolk, being only two minutes walk to Burnham Market's picturesque village green with its excellent selection of independent shops and places to eat and within 5 minutes drive of the stunning coast. This property is available for special offer midweek breaks 4 nights for the price of 3 during off peak season! 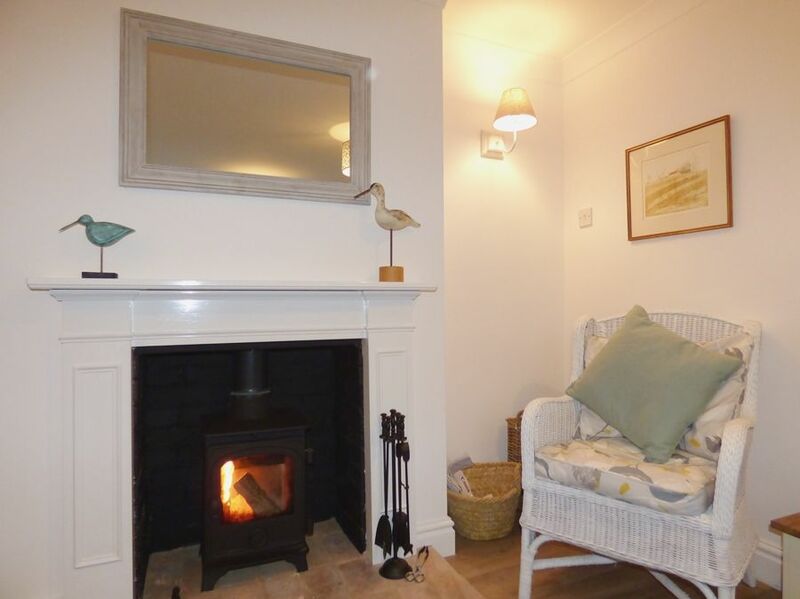 Beech Cottage is a beautifully presented, newly refurbished Norfolk coastal cottage, peacefully located in Burnham Norton. It is within a short walk of the marshes and coastal path, which are rich in bird and wild life and designated an Area of Outstanding Natural Beauty. 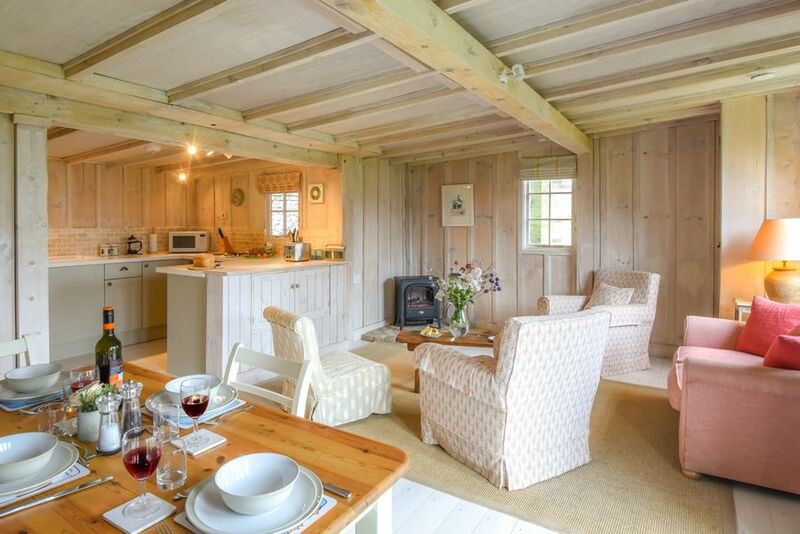 This idyllic cottage has been carefully renovated by its owners, using their wealth of experience in staying all over the world, to create the perfect holiday cottage for two. Downstairs there's a stylish sitting area with a wood-burner and a lovely new kitchen, whilst upstairs has been cleverly configured to create a luxurious king-size bedroom and superb large shower room. Outside there's the advantage of private off-street parking and a landscaped fully enclosed garden. One well behaved small dog is more than welcome here with their own "Dog Stop" in the shed incorporating a hair-dryer! The Georgian village of Burnham Market with its lovely independent shops and galleries and choice of excellent restaurants, may be reached within a 5 minute drive. Suitable for one or two adults only. Please note that only one small dog is accepted at the property. 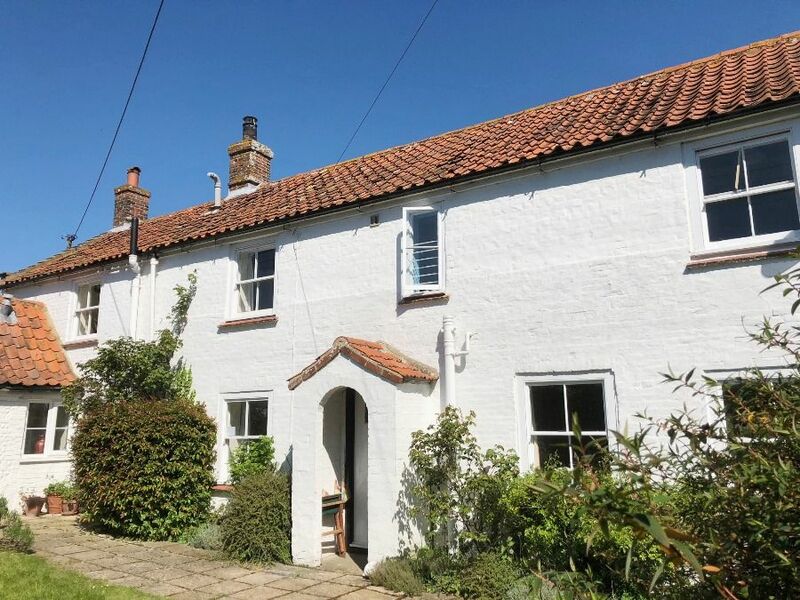 Norton Cottage is a quintessential Norfolk brick and flint cottage, peacefully located in Burnham Norton with lovely views of the pretty garden and surrounding countryside. The cottage is situated a short walk from the fresh water marshes which are rich in bird and wild life and designated an Area of Outstanding Natural Beauty. The charming sitting room has a newly installed wood burning stove and there are super efficient electric heaters with individual temperature controls (NOT storage heaters) in each room throughout the cottage, making it warm and comfortable throughout the year for anyone wishing to escape from the hustle and bustle of city life. It has the advantage of a downstairs double bedroom and bathroom with a further two bedrooms and bathroom upstairs. The Georgian village of Burnham Market with its lovely independent shops and galleries, may be reached within a 5 minute drive. 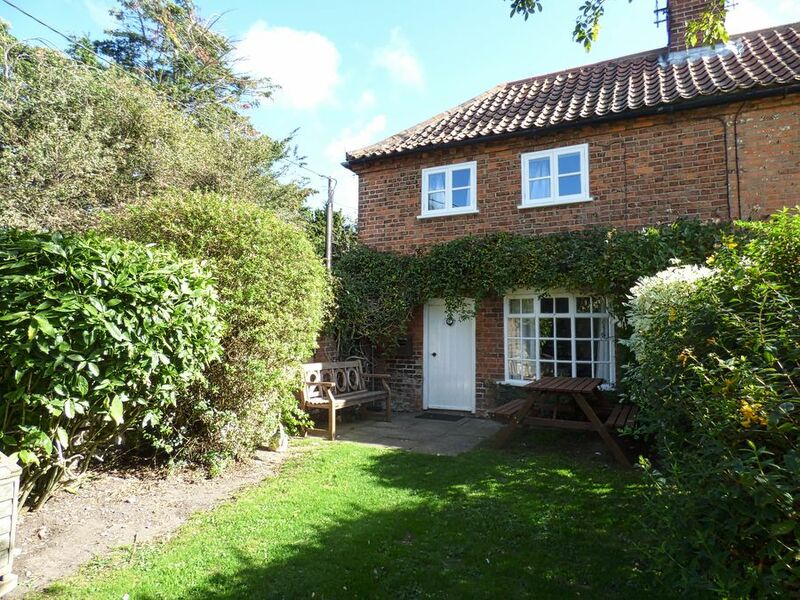 Flagstaff Cottage is in the grounds of Flagstaff House which was once the home of Captain Woodget of the Cutty Sark and is situated in a prime position at Burnham Overy Staithe. Following the tidal surge along the coast, The Cottage has been completely refurbished to a very high standard with all new carpets and furniture. It has absolutely breath-taking views from the large sitting room, dining area and kitchen across the creek, the staithe and out to sea. It may be rented with the adjoining Flagstaff Boathouse to provide accommodation for up to 12, or with Flagstaff East and West for up to 23 people. Flagstaff House was once the home of Captain Woodget of the Cutty Sark and is situated in a prime position at Burnham Overy Staithe. The house is now divided into two and may be rented with Flagstaff West to sleep 11 people, or with Flagstaff Cottage and Boathouse to sleep up to 23. The East Wing provides accommodation for 5 with stunning views across the creek, the staithe and out to sea. Following the tidal surge along the coast, it has been completely refurbished to a very high standard with all new carpets and furniture. 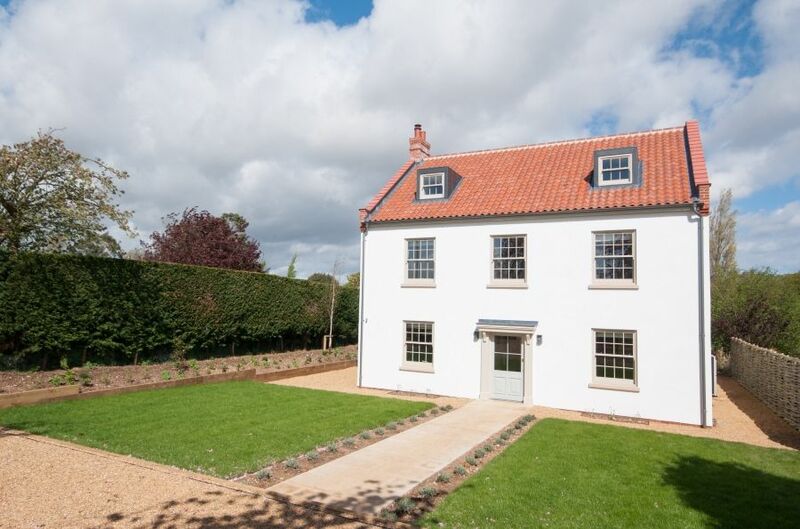 Flagstaff Garden House is a delightful newly refurbished white-washed "log cabin" situated in the grounds of Flagstaff House (the former home of Captain Woodget of the Cutty Sark) situated in a prime position close to the sea in Burnham Overy Staithe. This is a lovely place for two to stay which is all on ground level and has a light and airy living room with a comfortable sitting area, dining table seating up to six and a fully equipped new kitchen. There's a beautifully presented twin bedroom overlooking the garden and a newly installed shower room. With its effective heating and good insulation this is a warm and comfortable place to stay throughout the year - simply perfect for walkers or anyone wishing to enjoy being by the sea! Flagstaff House was once the home of Captain Woodget of the Cutty Sark and is situated in a prime position at Burnham Overy Staithe. The house is now divided into two and may be rented with Flagstaff East to sleep 11 people, or with Flagstaff Cottage and Boathouse to sleep up to 23. The West Wing provides accommodation for 6 with stunning views across the creek, the staithe and out to sea. Following the tidal surge along the coast, it has been completely refurbished to a very high standard with all new carpets and furniture. 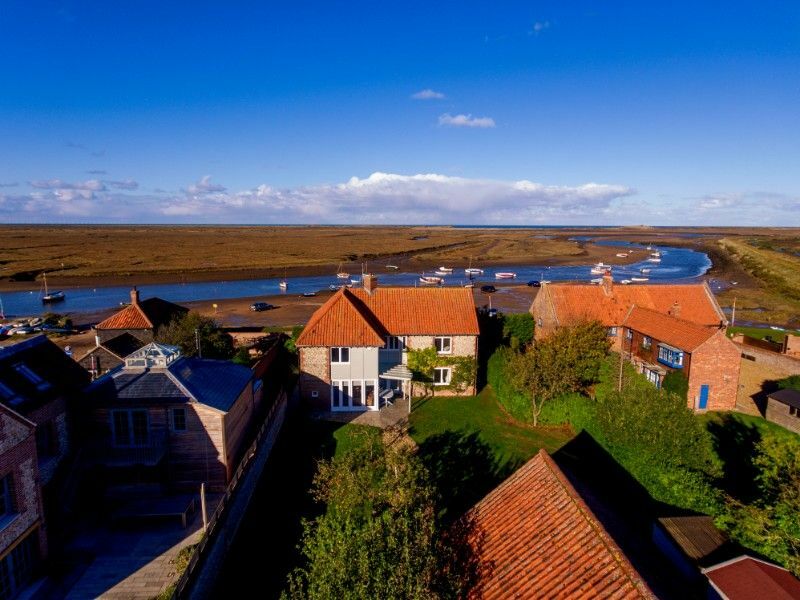 Gillies is an award winning detached coastal house designed by a local architect, situated in a prime position in Burnham Overy Staithe with stunning marsh, creek and sea views. In 2015 it was awarded a VisitEngland Gold Award in the 4 star Category of Excellence. The house has a nautical feel with its curved blue walls and contemporary glass and steel staircase, cleverly designed with an upstairs sitting room to take advantage of the lovely views. Upstairs is perfect for three couples with three lovely en-suite bedrooms, with a further two twin bedrooms and a shower room on the ground floor. There is a large enclosed garden with ample car and boat parking and access to the harbour for sailing or a 30 minute walk along the coastal path out to the beautiful unspoilt sandy beach. Gillies is unrivalled for bird-watching with many rare species seen from the house. Within 4 minutes walking distance is The Hero gastro pub. Hart's House is a beautifully presented contemporary 4 bedroom house. 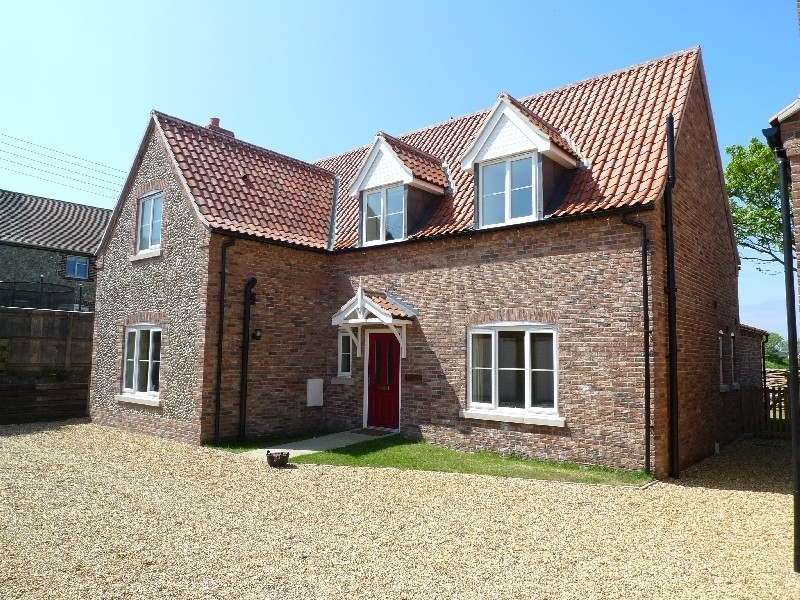 It is situated in a prime location down East Harbour Way in Burnham Overy Staithe with the harbour just a minute's walk away. There is a wonderful view of the sea from the sitting room and the kitchen, as well as 2 of the bedrooms. With an efficient central heating system and abundant supply of logs, this is a great place to stay for a winter break as well as during the summer months. 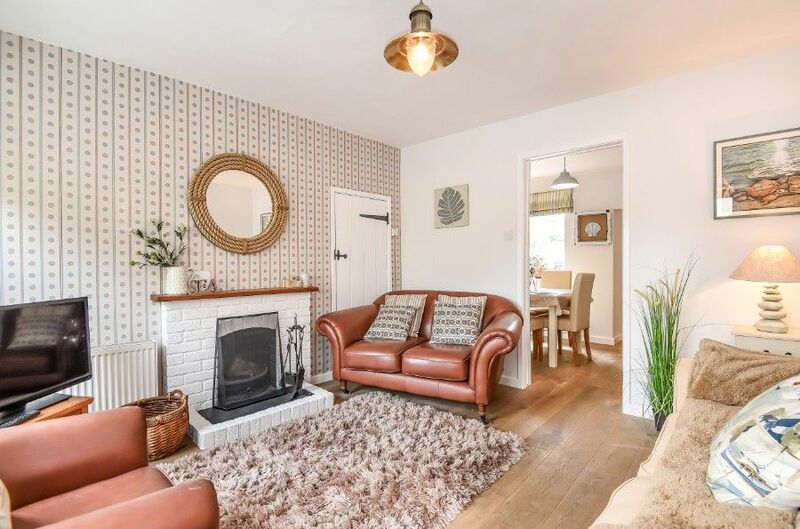 Lantern Cottage is a traditional 2-bedroom bungalow, perfectly located in the heart of the highly sought after coastal village of Burnham Overy Staithe. Within a minutes walk from the creek, and 30 seconds from the local pub, it is a very secluded detached property set well back from the coastal road, concealed behind secure high wooden gates with the great advantage of fully enclosed dog and child-proof front and back gardens. There is a large gravel front drive - the cottage has ample off-street parking for 2-3 cars (and a boat), and a south facing rear garden with a patio area. The owners have thoughtfully stocked it with everything a family of 4 or 2 couples could need for a sailing/beach/walking/bird-watching week, including teddies for kids, games for wet days, dog towels/dog blankets and picnic/beach stuff. Lantern Cottage is also an ideal place for the less mobile guest, being all on one floor and having a wet room easily accessed from the double bedroom. It is ideally suited to those seeking a warm and comfortable, well-equipped 'family home from home experience', rather than those seeking a more contemporary 'boutique' hotel holiday! It has oil-fired central heating with double glazing throughout, making this a warm, cozy and comfrotable place to stay throughout the year. 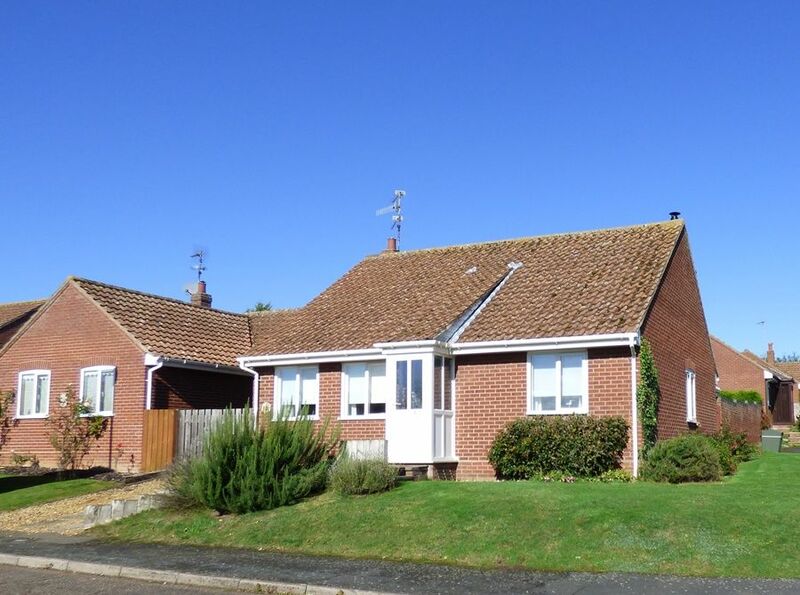 Little Tern is an extremely well presented and equipped spacious two bedroom two bathroom bungalow in the heart of the sought after village of Burnham Overy Staithe within easy reach of the coastal path the beach and marshes and local gastropub, The Hero. Little Tern has the added benefit of being located on a quiet private lane, set in good-sized grounds with a front and rear gardens, the rear garden being enclosed dog and child-friendly. There is ample private parking with space for cars and small boats. A secure garage is available upon request which is perfectly suited for storing bicycles (not suitable for cars). 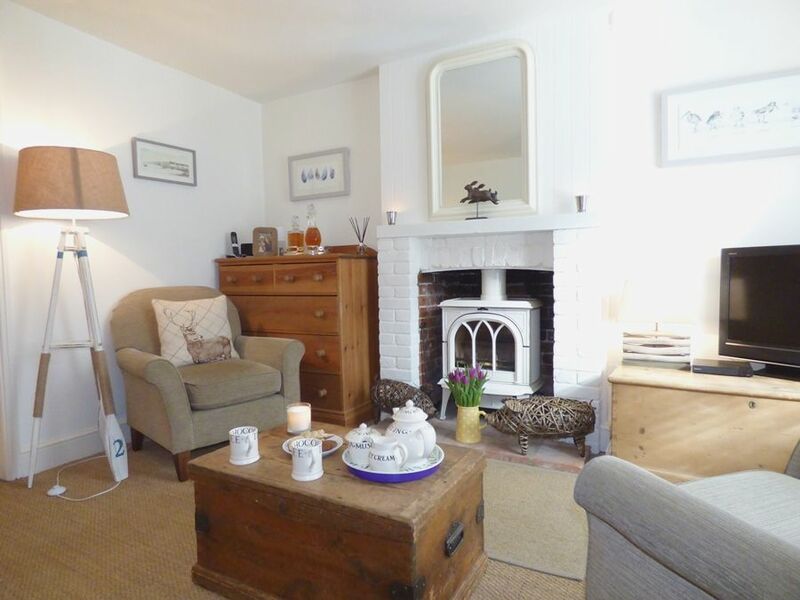 Being only minutes walk from the sea, this is an ideal place for 2 couples, families or less mobile guests to stay throughout the year with its two comfortable bedrooms one en-suite and the light and airy open plan living area with wood burner. Pangur's Piece is a traditional brick and flint end terrace cottage, built in 1853. The house offers character and charm with period features throughout, the Decor colours are by Georgina Baker & Fabrics by Vanessa ArbuthnotIt, it has an outstanding bespoke large hand-built kitchen/dining area which leads to the attractive enclosed garden. The cottage is situated in a wonderful position only minutes from the Staithe and the coastal path, recreation ground and tennis courts. An excellent local pub serving good food is minutes walk away. Scott's Cottage is a wonderful sixteenth century house, initially a smuggler's house, which has been owned by the same family for several generations and is undoubtedly one of Burnham Overy Staithe's finest houses. It has been extended and refurbished with the addition of a lovely kitchen and sitting room, 5 bath/shower rooms and a spacious utility room, making it the perfect combination of a charming country house with the convenience of a modern kitchen and bathrooms. It has extensive private gardens with stunning views over the marshes and out to sea, and direct access onto the coastal path. Scott’s Lodge is the gatehouse to Scott's Cottage, a former Smuggler's House. Set in the grounds of the Smuggler's House it has it's own private garden and direct access to the coastal path over the bank at the end of the lawned garden to the rear of this cottage. The rooms are arranged to provide comfortable accommodation for up to 4 adults and 2 children (the third bedroom being a single with a pull out bed beneath). Being so close to the marshes it provides a perfect base for a family holiday as well as being suitable for 2 couples for a coastal getaway. It shares a private drive with Scott’s Cottage and has outstanding gardens with stunning sea views which lead onto the marshes. 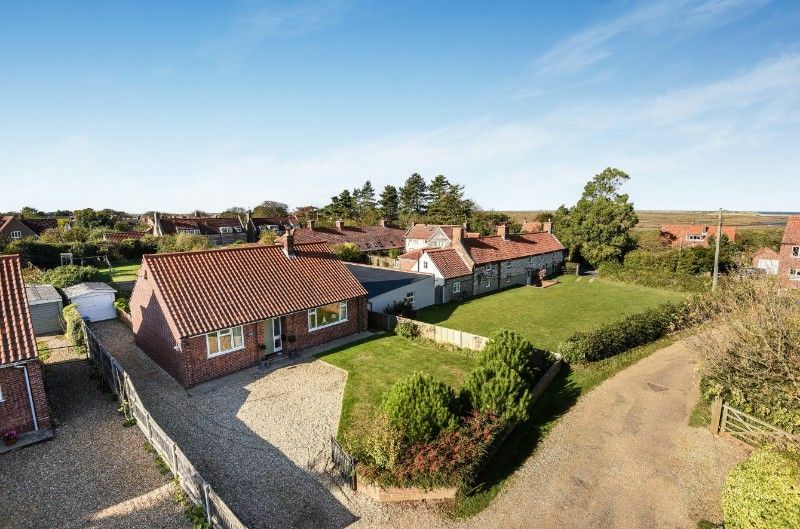 Skylark is a spacious detached house quietly located within a couple of minutes walk from the sea in the highly sought after coastal village of Burnham Overy Staithe. Its owners have used their years of experience renting holiday cottages to produce their own ultimate second home, tastefully furnishing it in a coastal contemporary style and thoughtfully equipping it. This is an ideal holiday home for families and friends with a sociable kitchen/dining area and a light and airy sitting room with glass doors opening into the large lawned garden, with plenty of parking at the front for cars and boats. The spacious downstairs bedroom and absence of steps on the ground floor, makes Skylark a suitable place to stay for less able guests. Staithe Barn is a spacious and comfortable first floor holiday home with a spacious open plan living area and three bedrooms and three bathrooms. It is located in a converted maltings close to the harbour with spectacular views of the picturesque village creek and marshes. 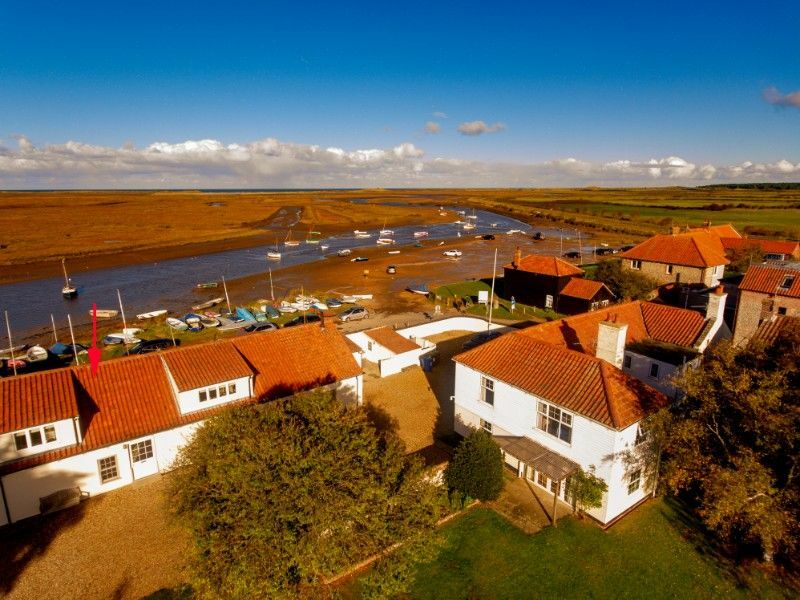 Burnham Overy Staithe is a former fishing and trading port and is a thriving centre for dinghy sailing and is close to several nature reserves with wonderful bird watching. 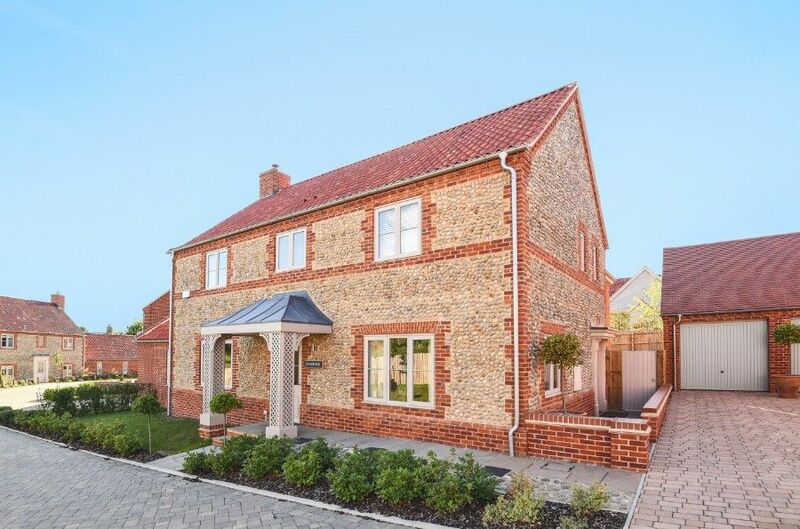 Buffers End is a Norfolk brick and flint detached house with 4 bedrooms and 3 bathrooms. This is a comfortable, well-equipped house which makes the perfect holiday home for families, or up to 3 couples, throughout the year, with the advantage of having 2 sitting rooms. It is ideally situated only 2 minutes walk from the harbour and The Hero pub in Overy Staithe, and has a gate from the back garden onto the playing field which has tennis courts and a children's playground. It is next door to Sleepers which is an identical house and these houses may be booked together to provide accommodation for up to 14 people. 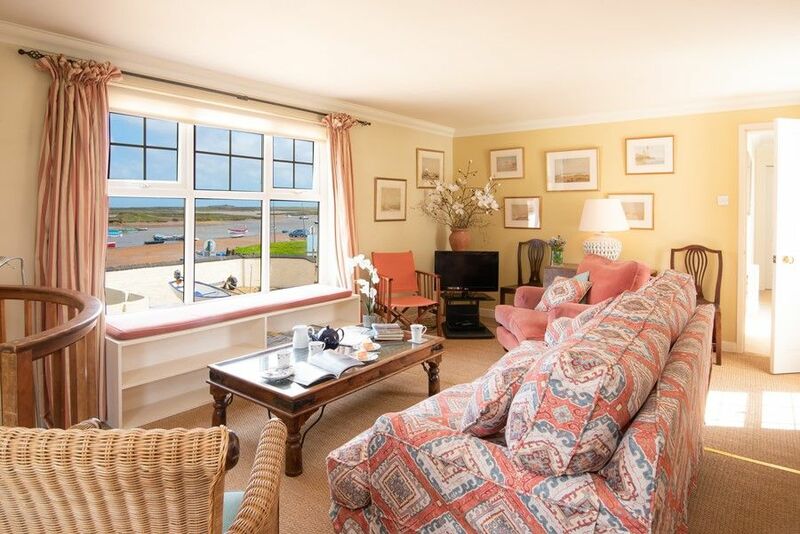 West Harbour House is undoubtedly one of the most spacious and well-appointed holiday homes available to let in the highly sought after coastal village of Burnham Overy Staithe, with stunning views across the creek and marshes out to sea and Scolt Head Island. This house comfortably accommodates up to 12 people in its 5 large comfortable bedrooms and 4 bathrooms, having the advantage of a wonderful first floor drawing room with breath-taking views. With an attractive enclosed garden and only a minute's walk to the harbour and an excellent local pub, this makes it the perfect place for family and friends to stay together throughout the year. Please enquire about off season reductions for reduced occupancy. Chimney Barn is a lovely period barn conversion with a stunning full height living room with original beams and exposed flint & brick walls. It's ideally located in a peaceful position, within walking distance of the Georgian village of Burnham Market and also the beautiful coast at Burnham Overy Staithe, in a highly sought after small development of prestigious barns. 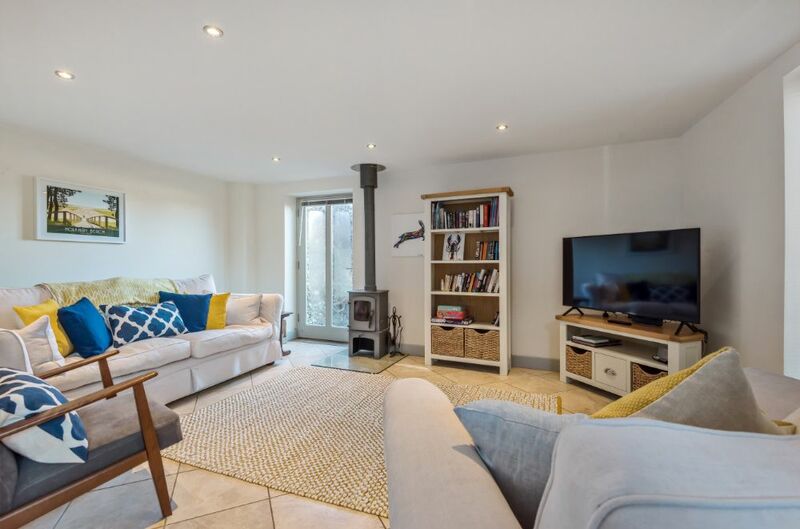 The barn comfortably accommodates up to six guests within its four bedrooms, one of which is a charming mezzanine room above the living room, with the remaining three bedrooms all on the lower ground floor. Outside there's the advantage of a decked balcony overlooking the attractive private rear walled garden, with ample parking space and opportunities for walking from the doorstep. 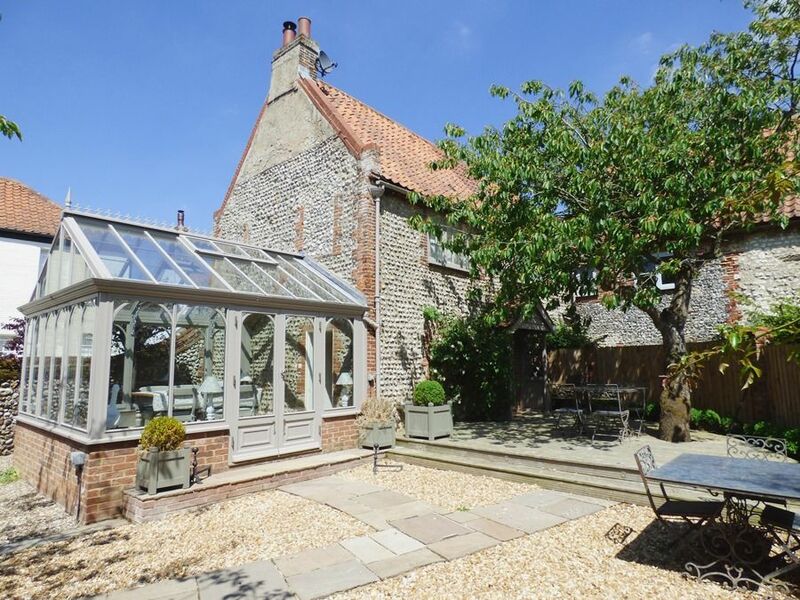 Lavender House is an attractive 18th Century Norfolk detached cottage which is currently being extended with the addition of a fabulous new kitchen/conservatory and a new downstairs bathroom. The work will be completed in April 2019. This is the perfect holiday house for two families having spacious living areas, a large private garden and situated within walking distance of the coast at Burnham Overy Staithe and the Georgian village of Burnham Market, with its excellent selection of shops and great restaurants. New photographs will be available in April 2019 once works are completed.